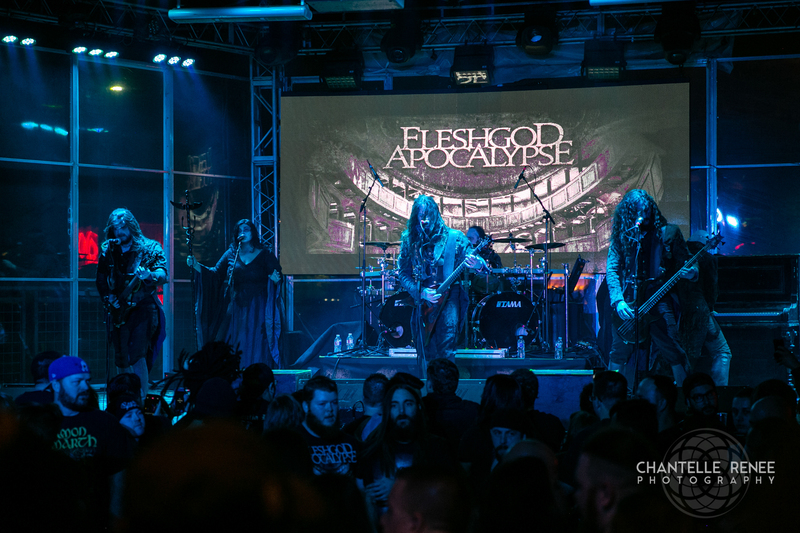 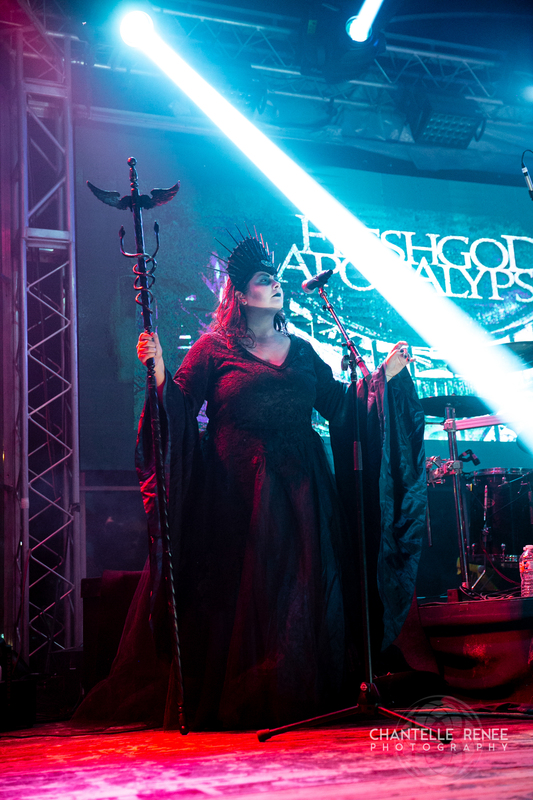 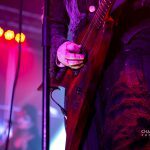 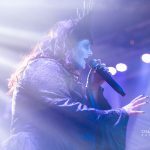 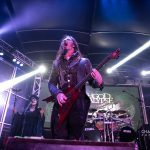 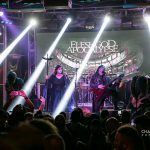 FLESHGOD APOCALYPSE graced the stage shortly after local heavy hitters RENATUS and accompanying touring act AENIMUS in support of their soon to be released album, Veleno. 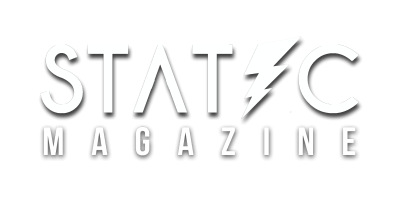 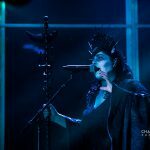 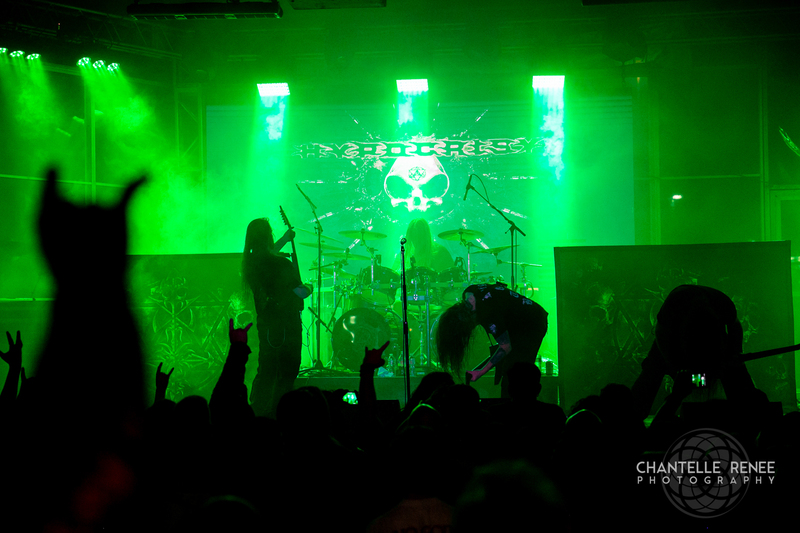 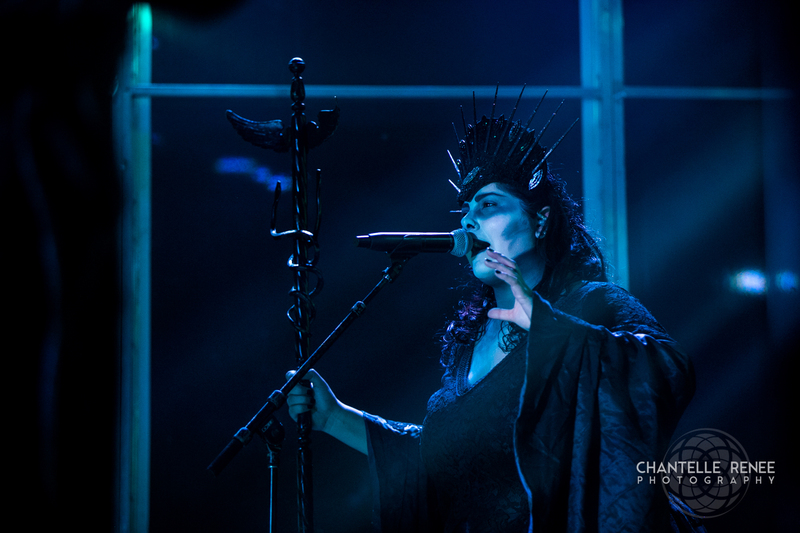 Opening with fan favorite track The Violation, the orchestral buildup to the high intensity track from AGONY resonated throughout the outdoor venue. 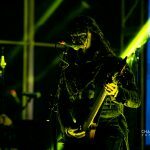 Slowly taking the stage in the best cover of darkness and smoke they could muster, the initial ringout of the beginning punched through the crescendoing ambiance like a knife through butter. 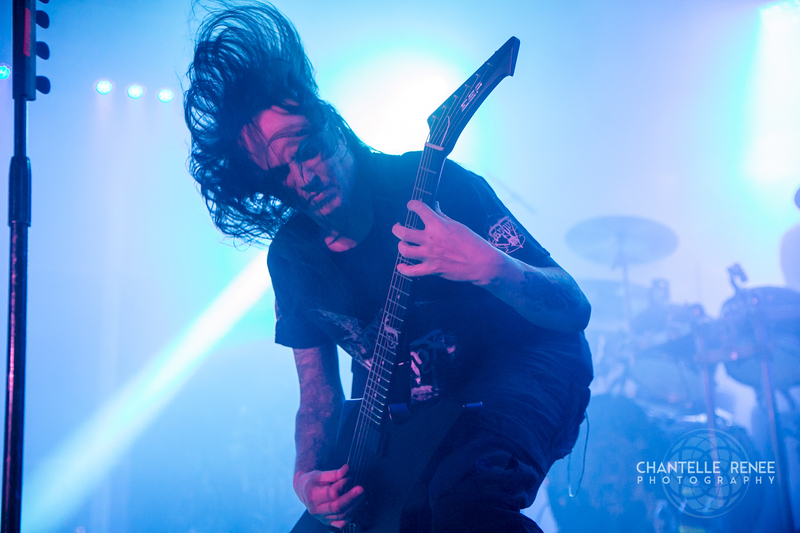 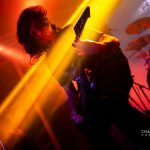 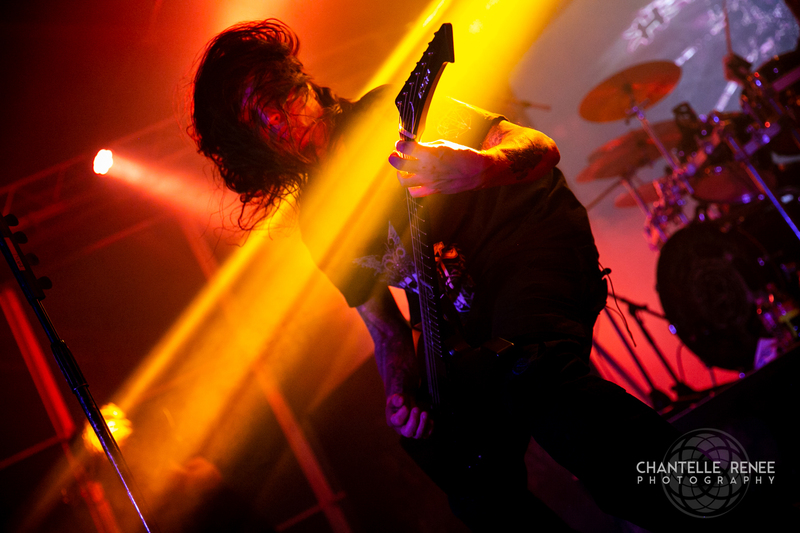 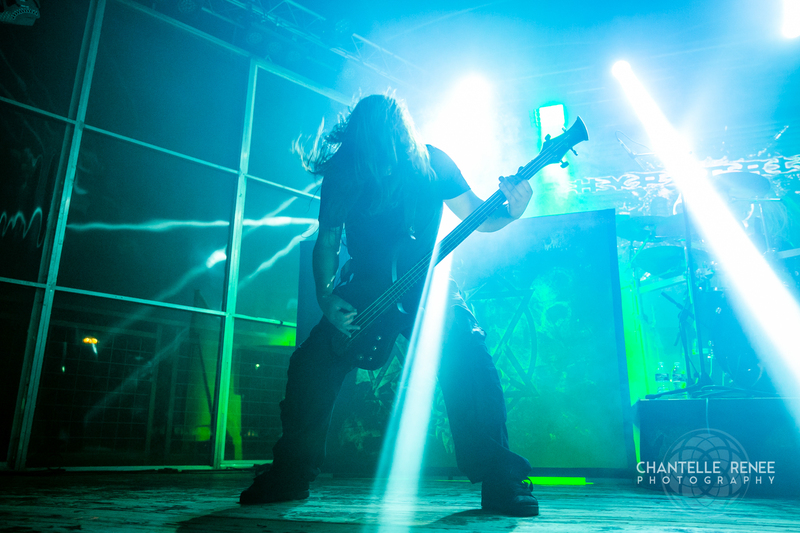 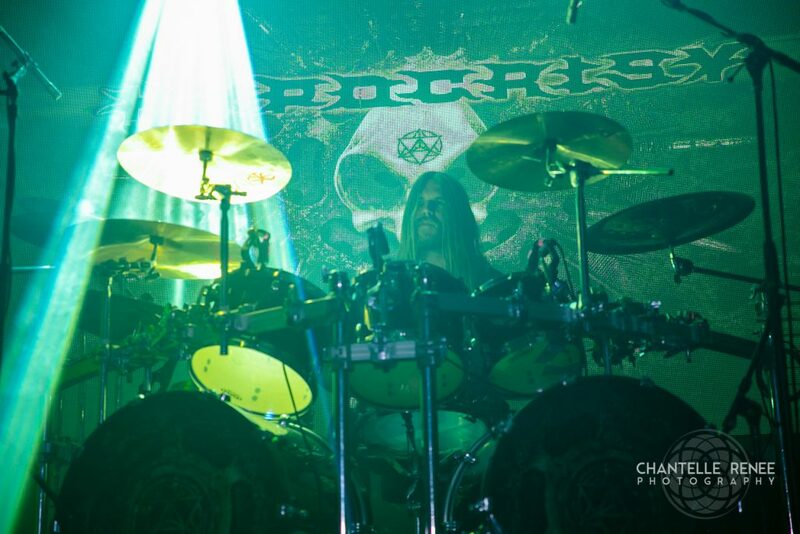 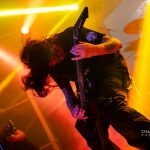 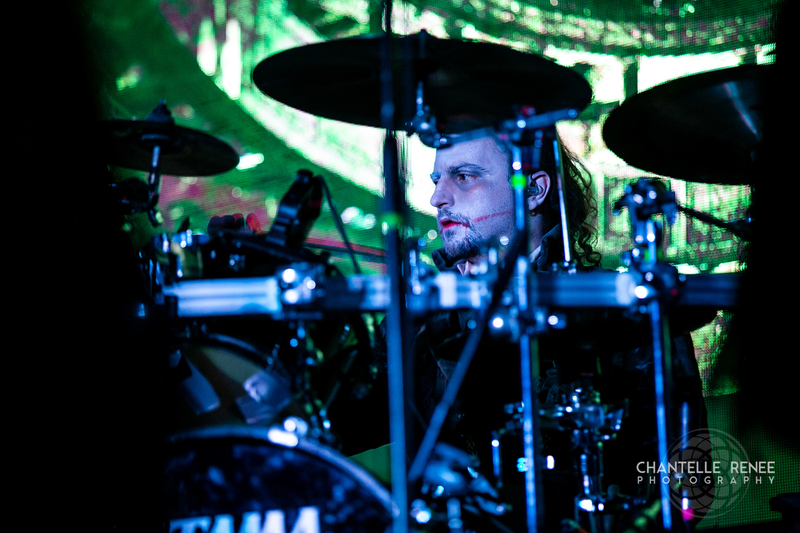 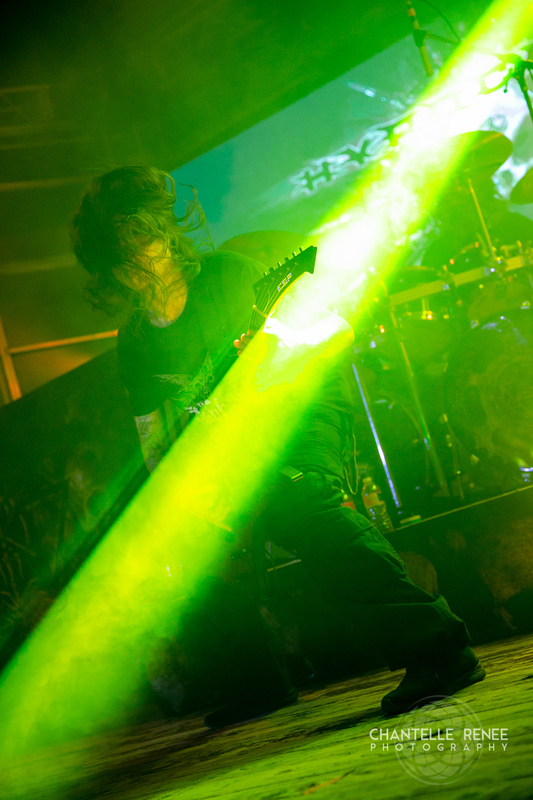 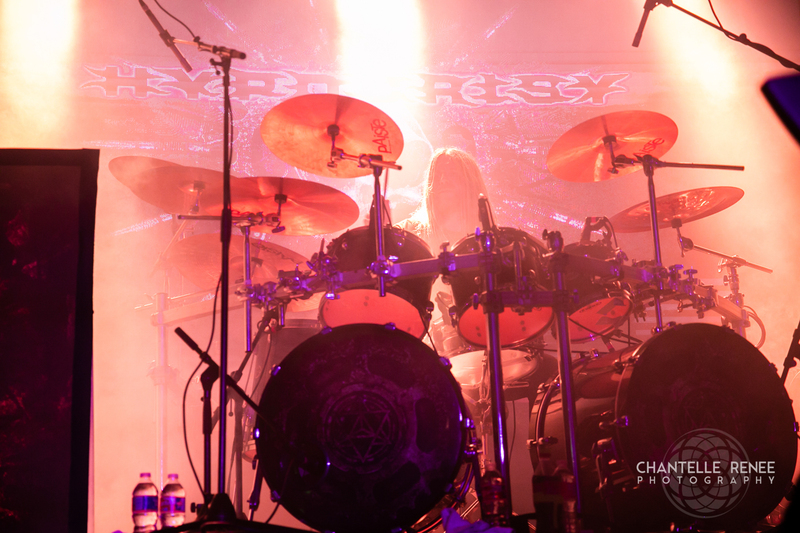 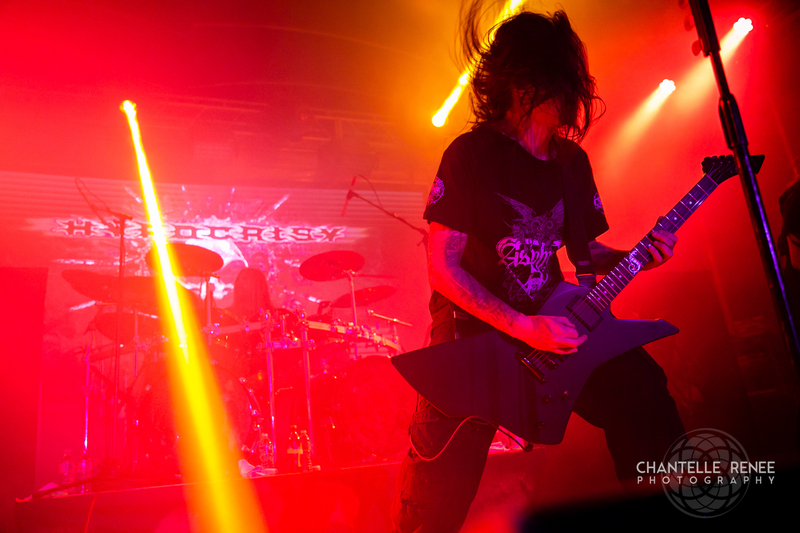 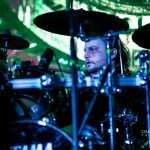 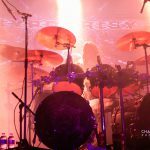 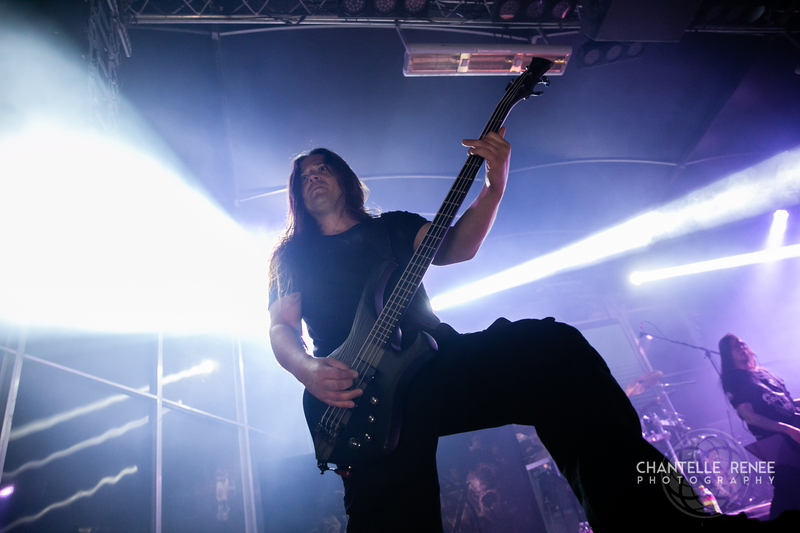 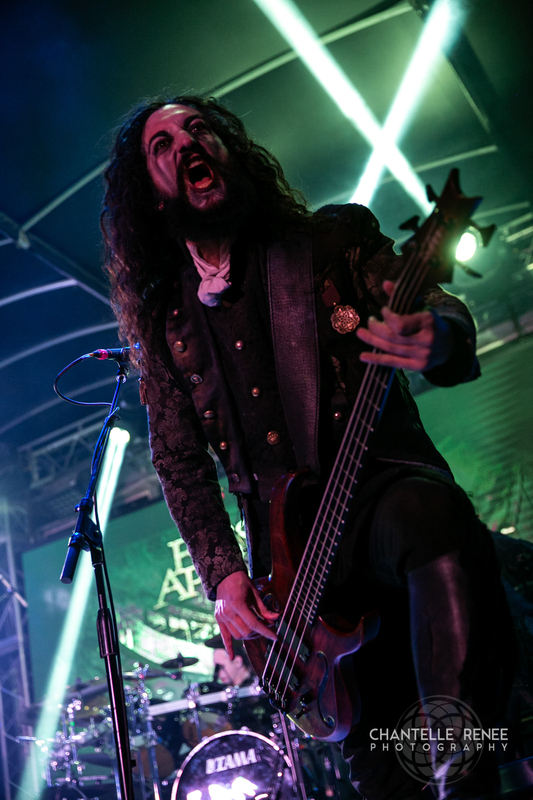 Now boasting original vocalist (and previous drummer before Tommasso Ricardi’s departure) Francesco Paoli, Fleshgod delivered a performance more powerful than that of recent memory. 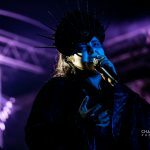 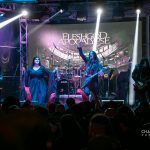 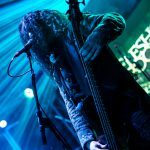 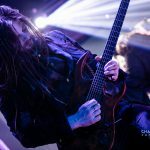 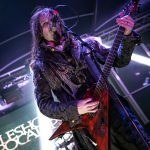 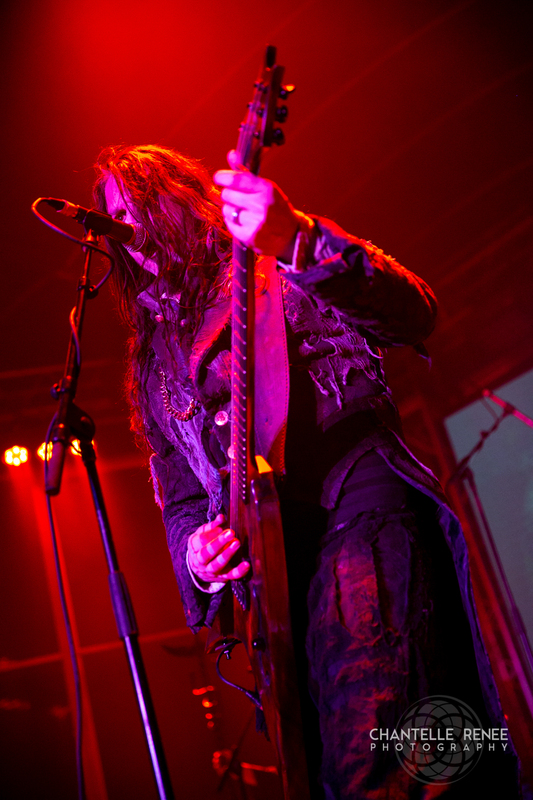 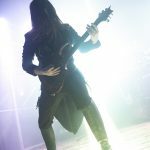 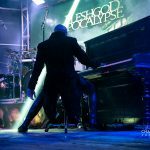 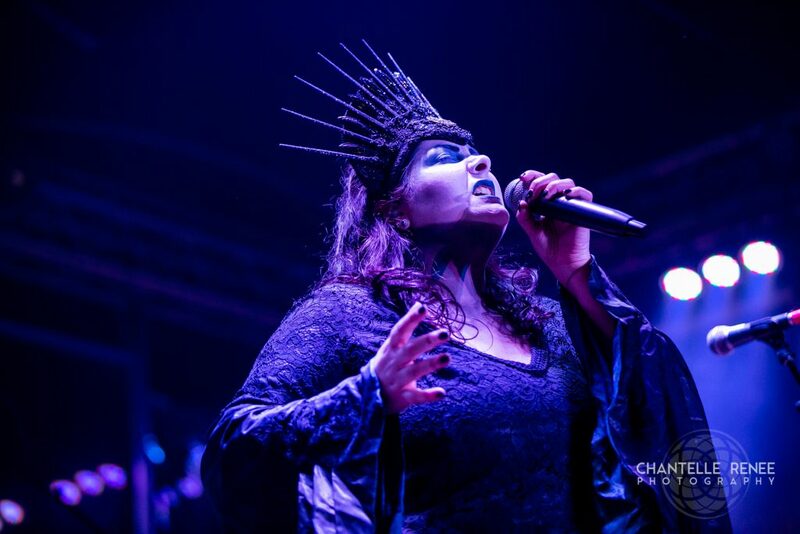 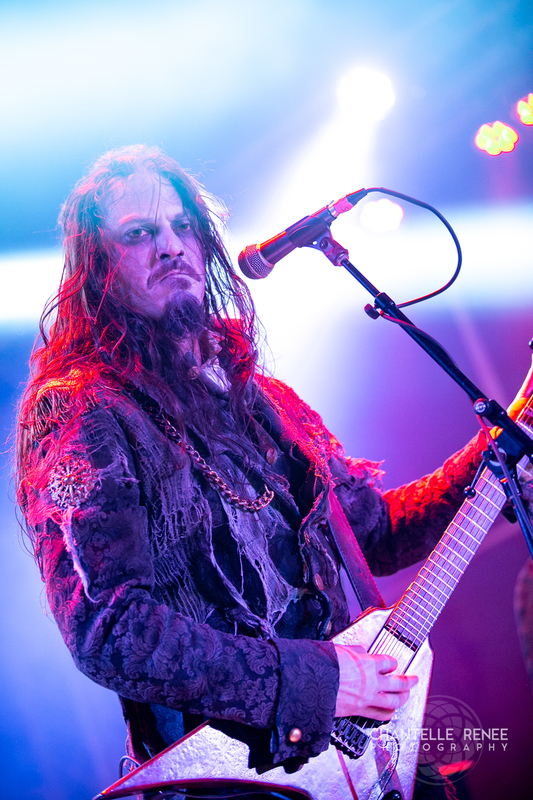 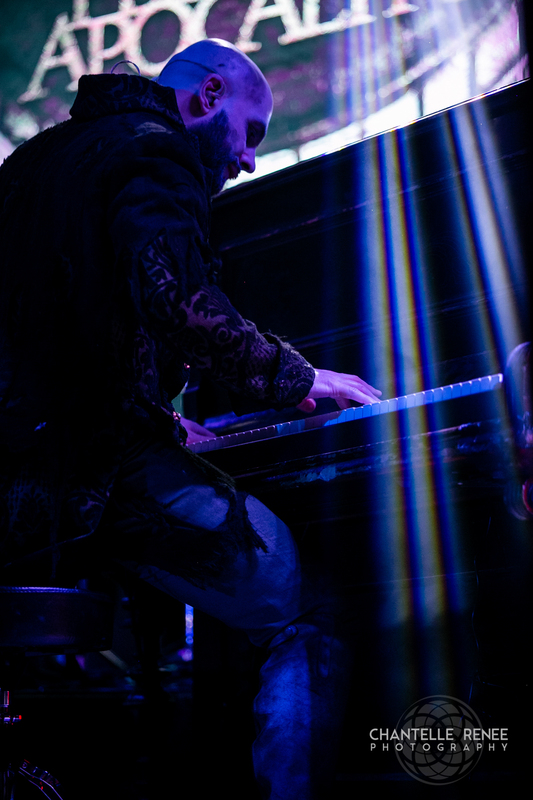 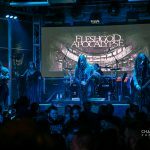 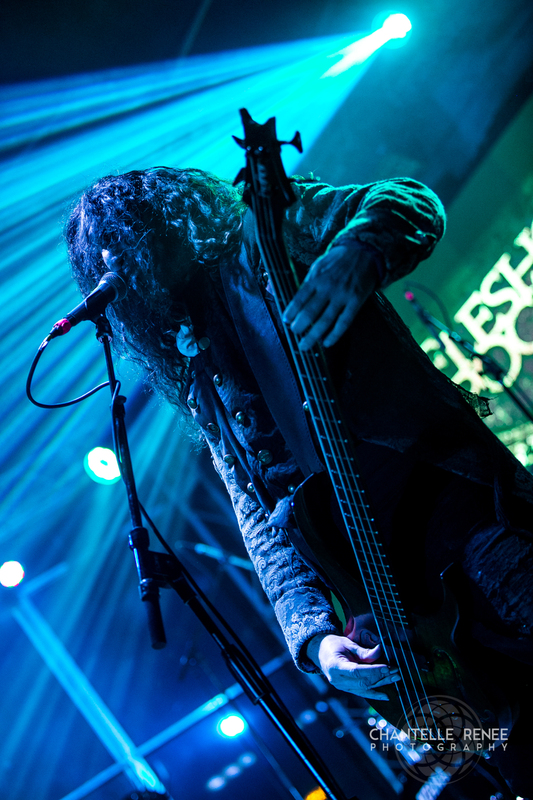 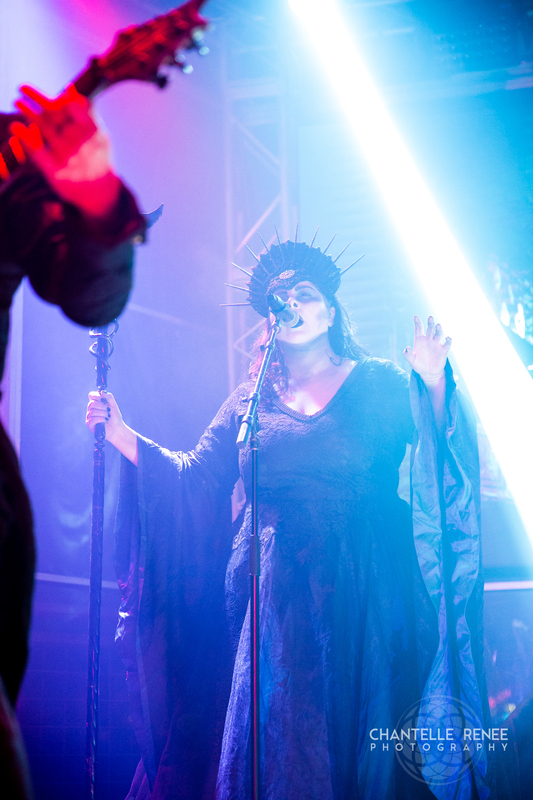 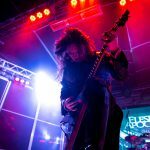 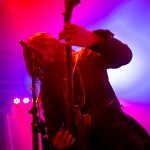 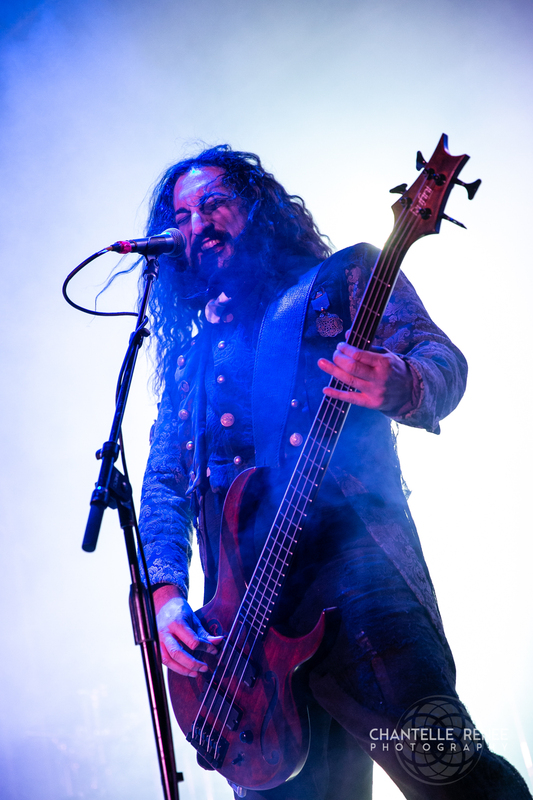 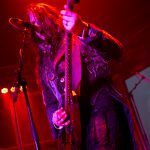 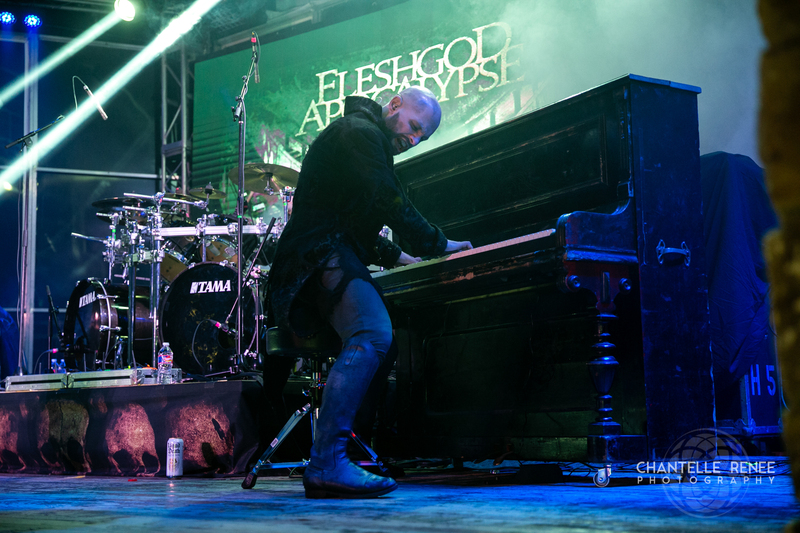 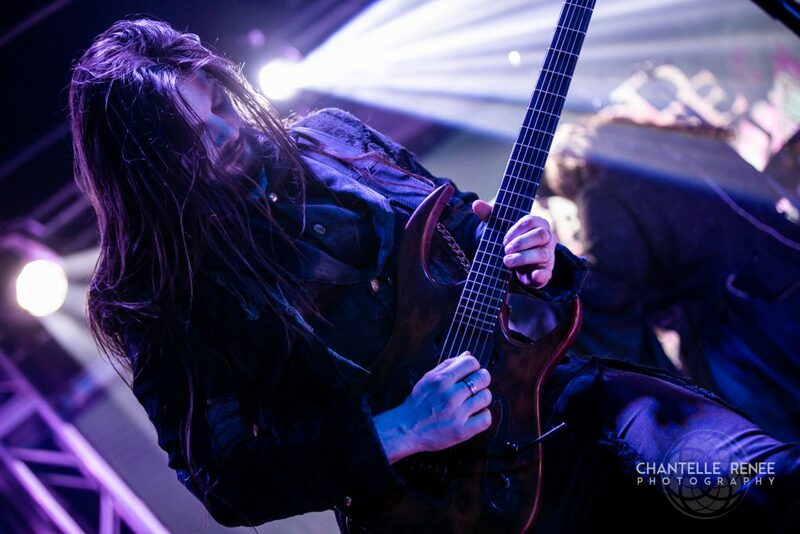 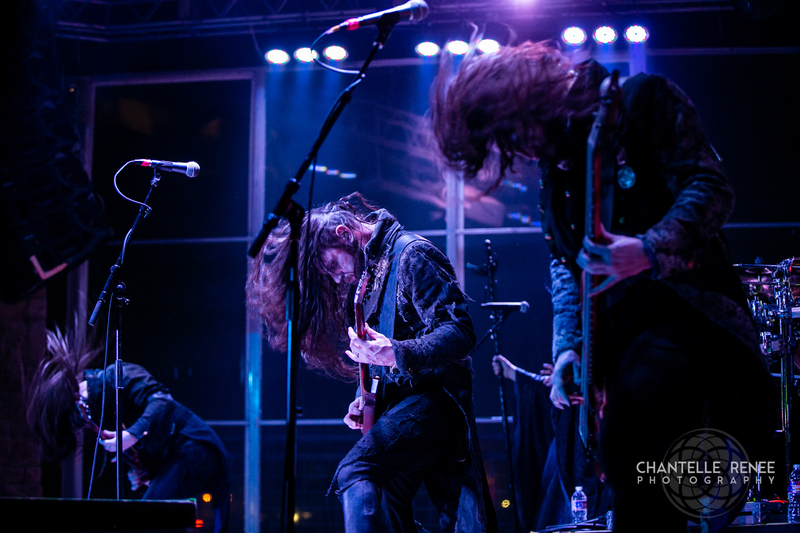 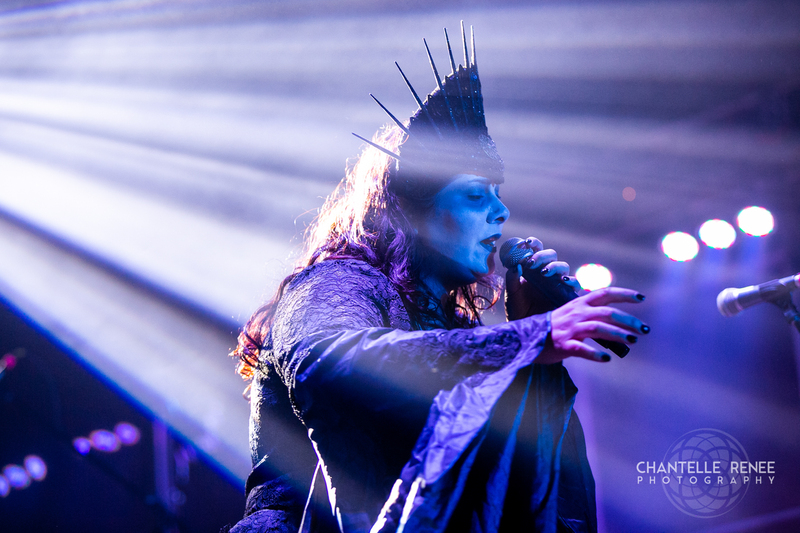 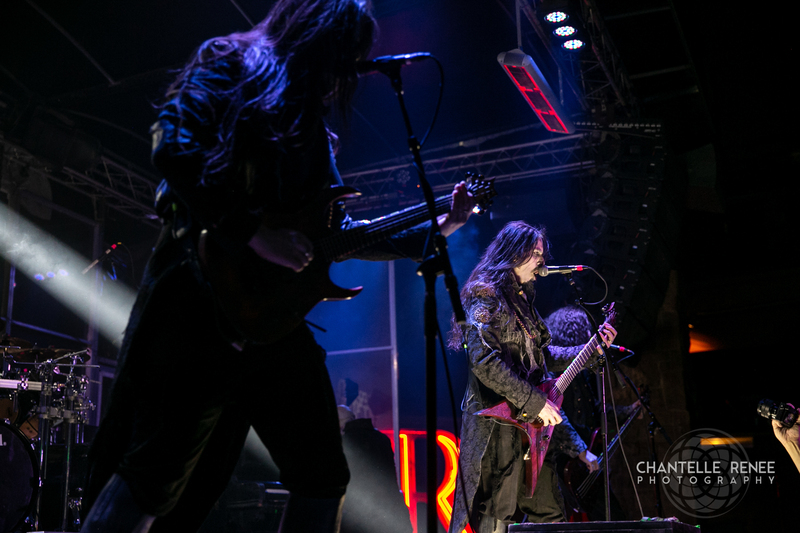 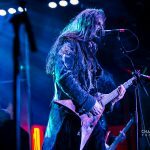 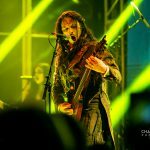 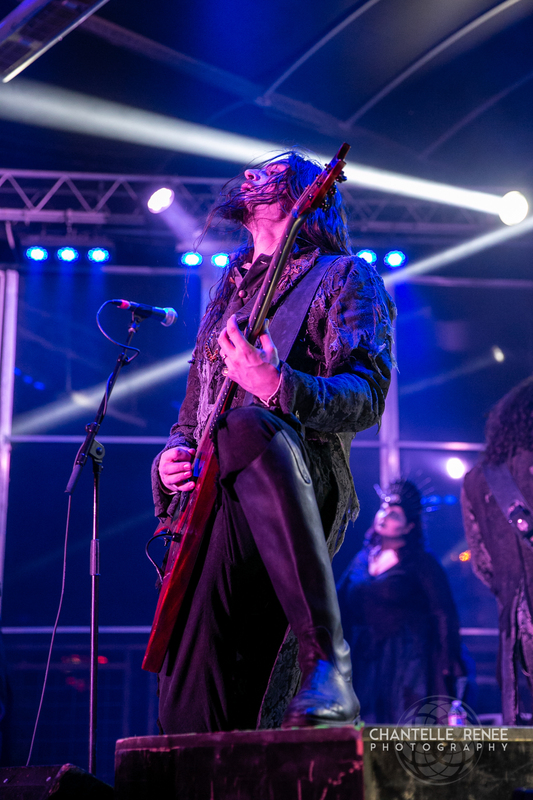 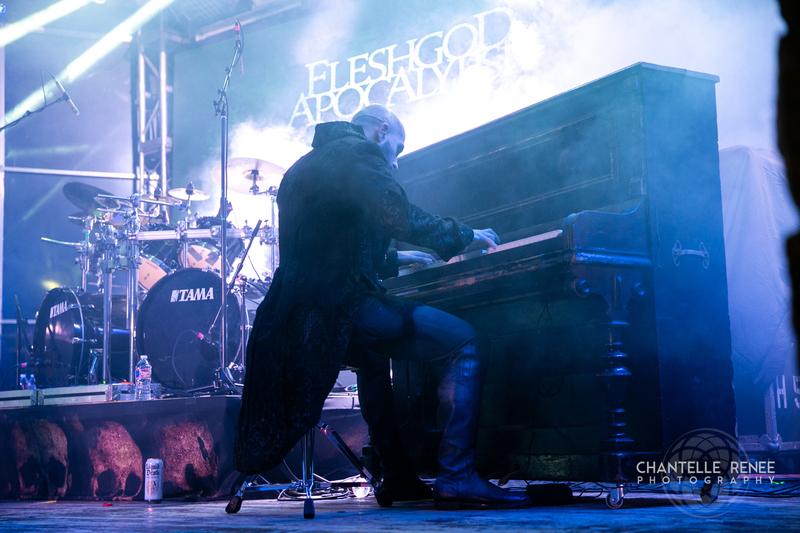 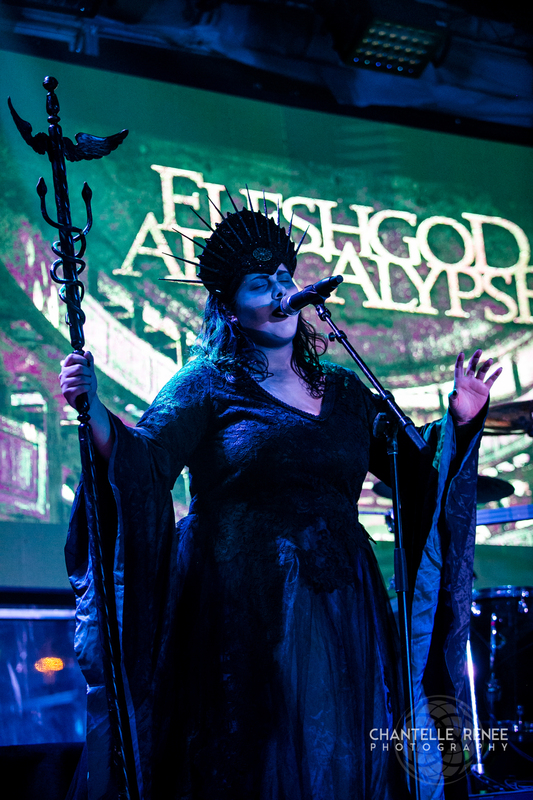 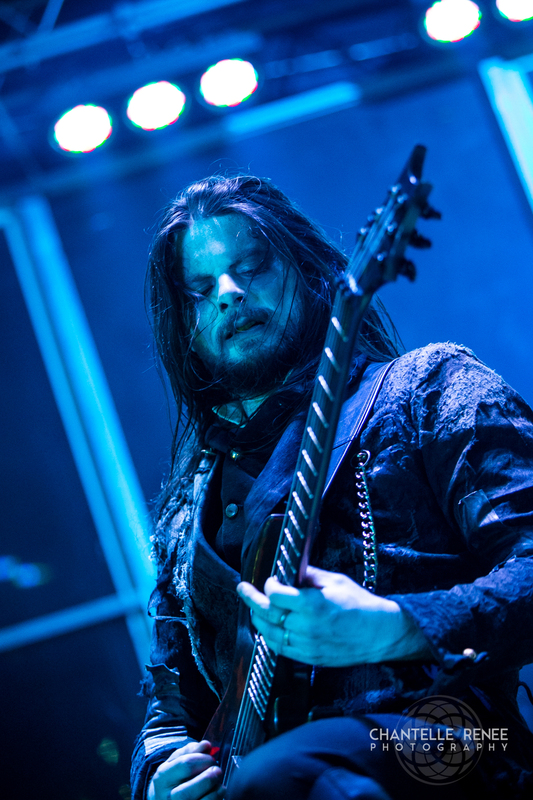 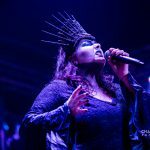 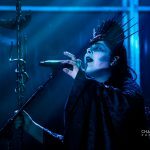 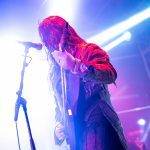 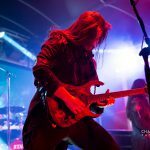 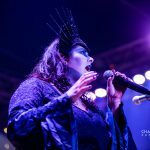 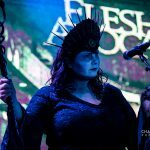 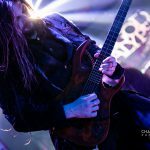 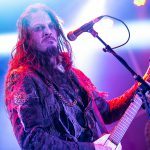 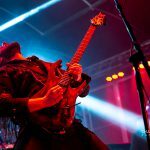 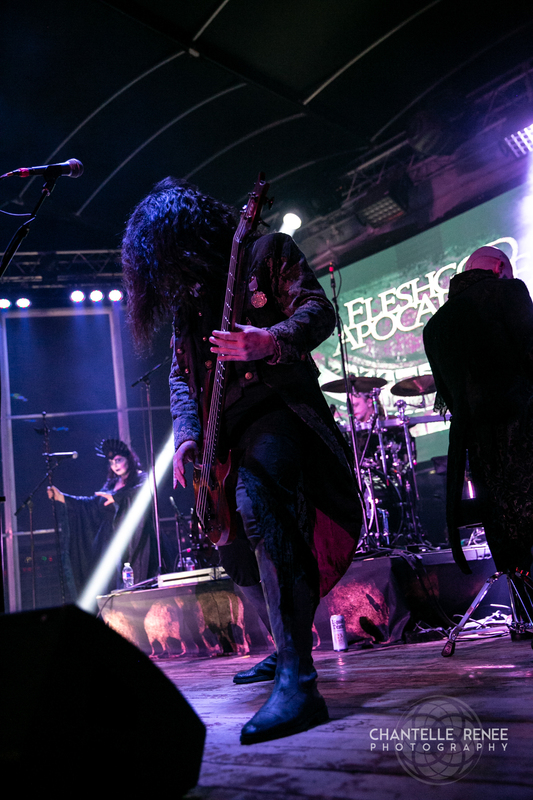 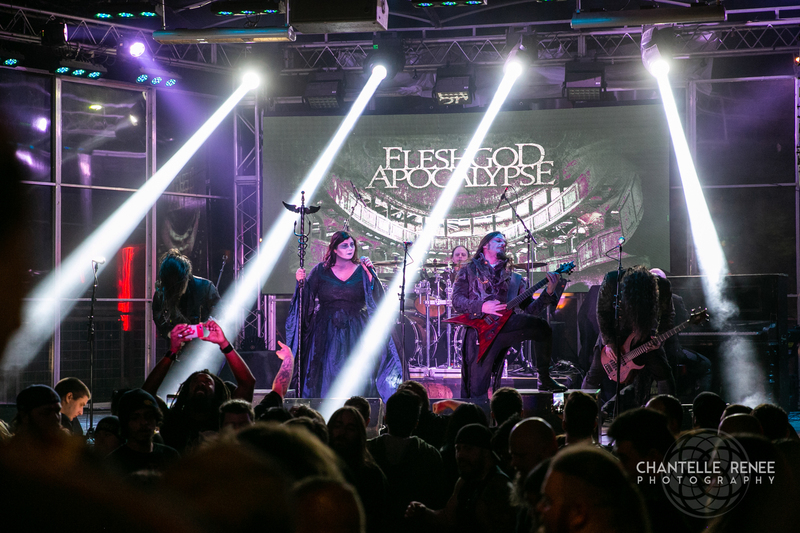 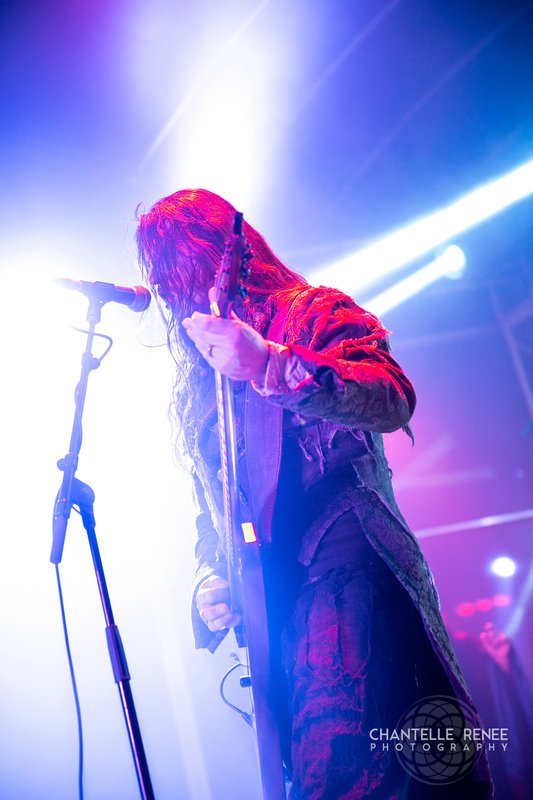 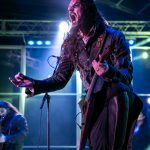 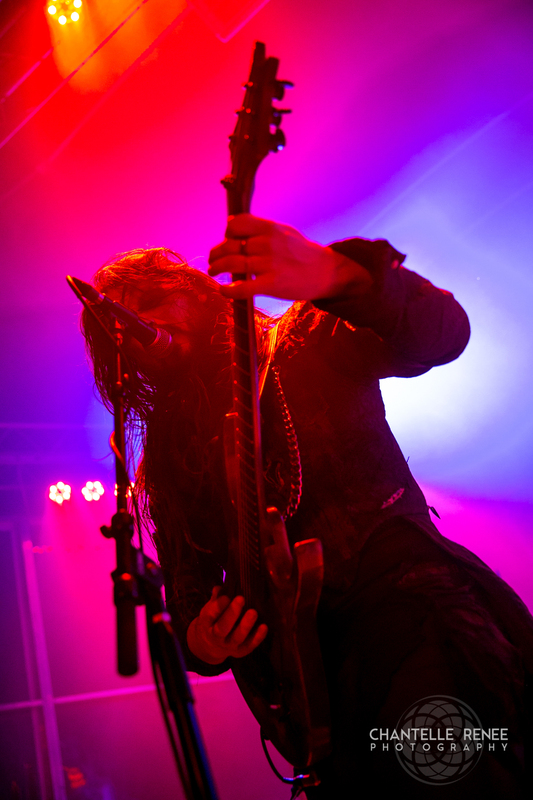 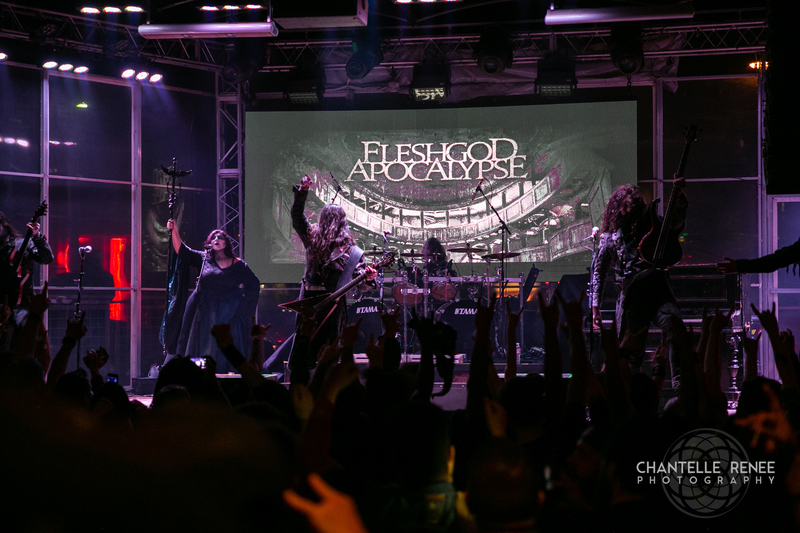 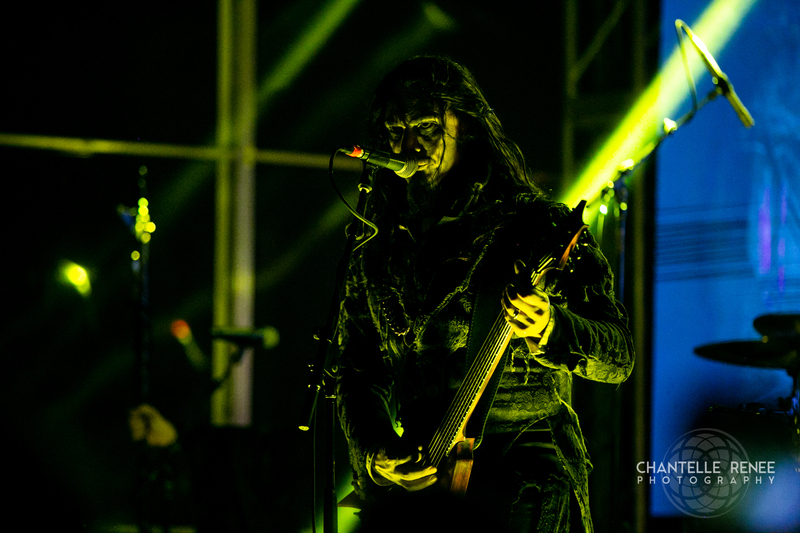 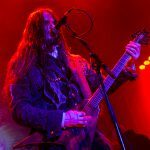 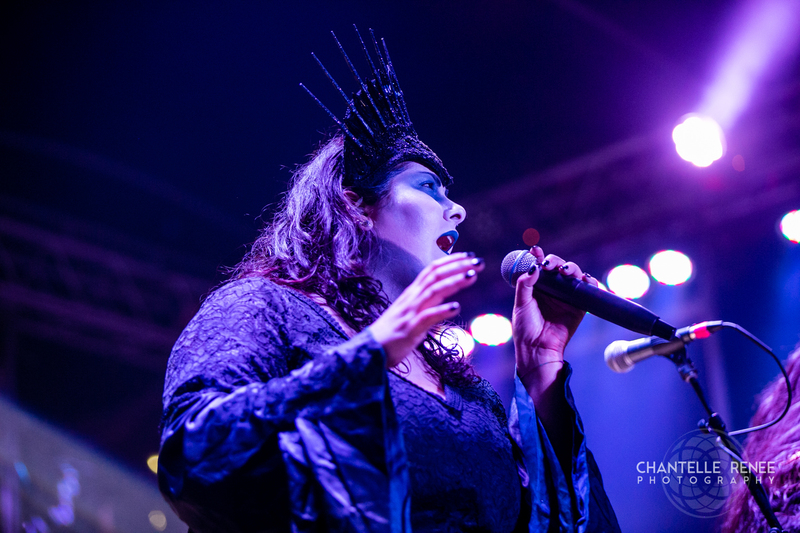 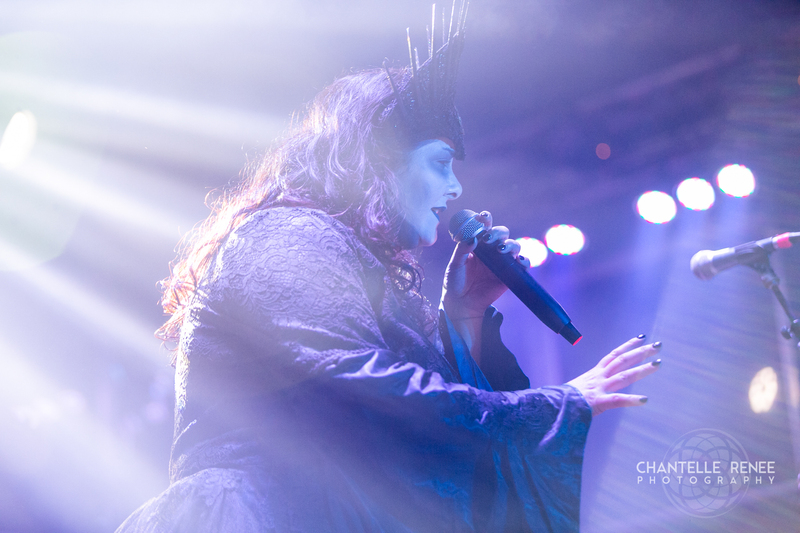 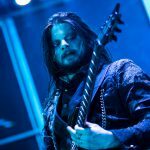 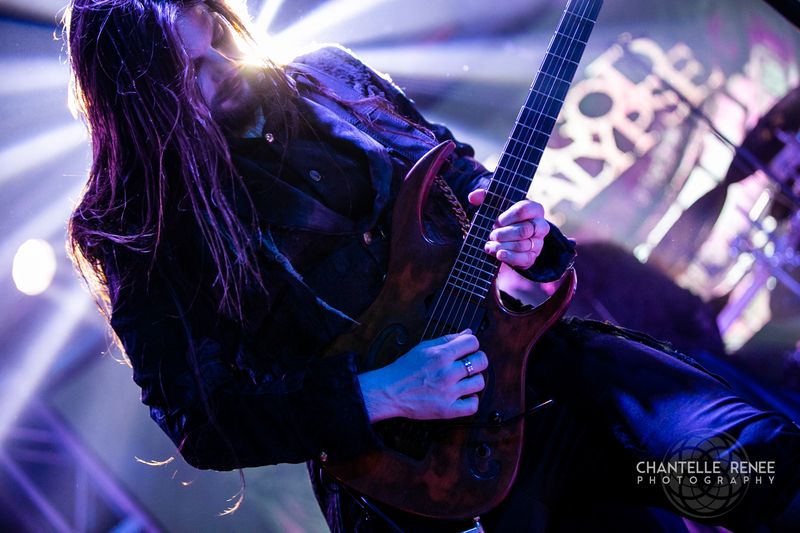 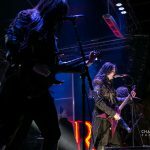 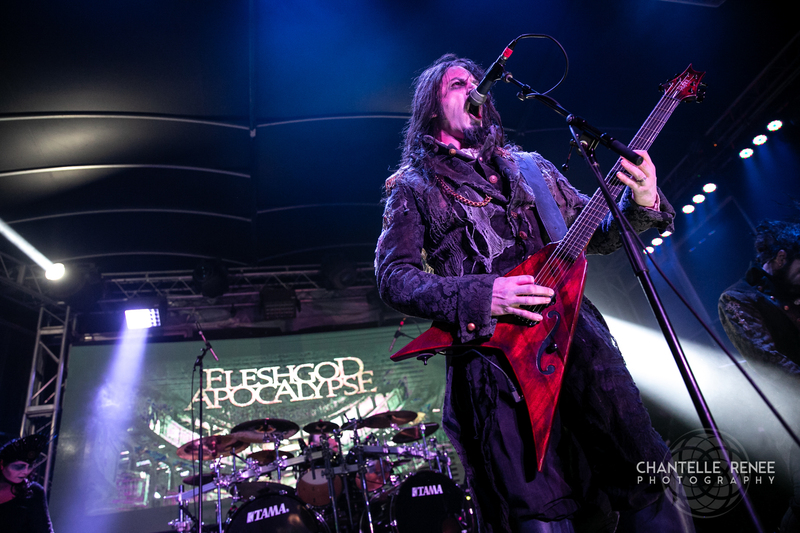 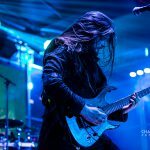 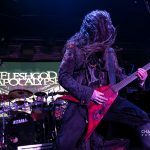 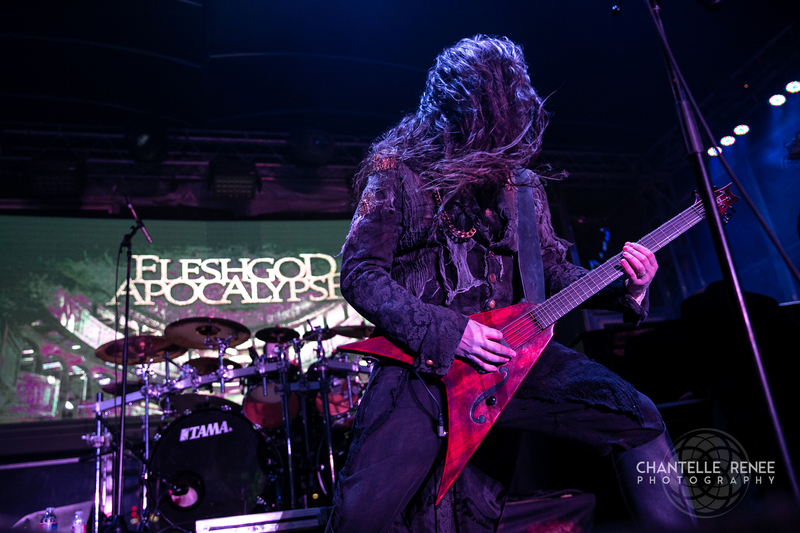 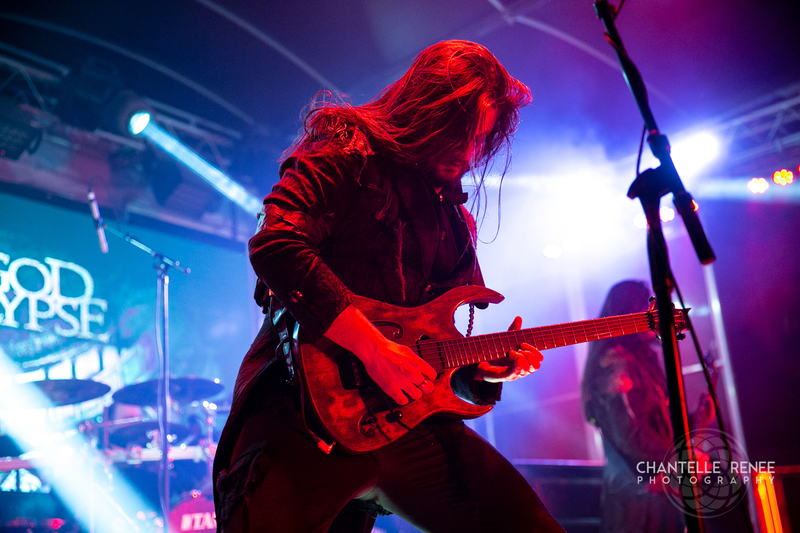 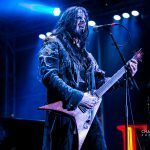 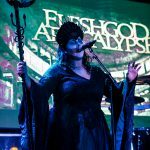 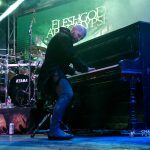 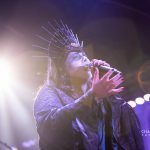 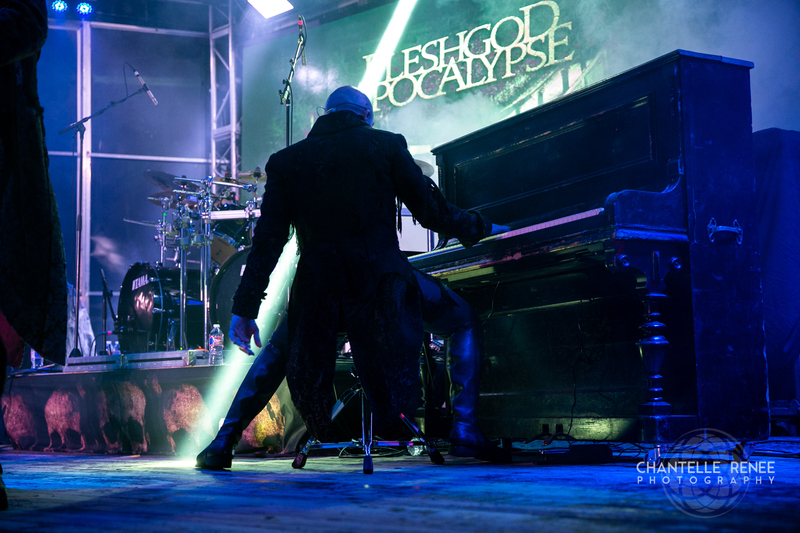 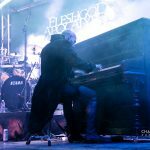 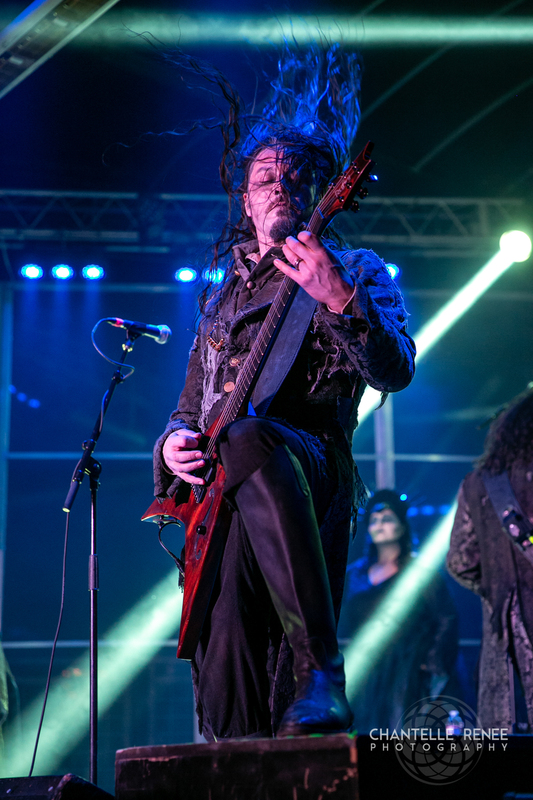 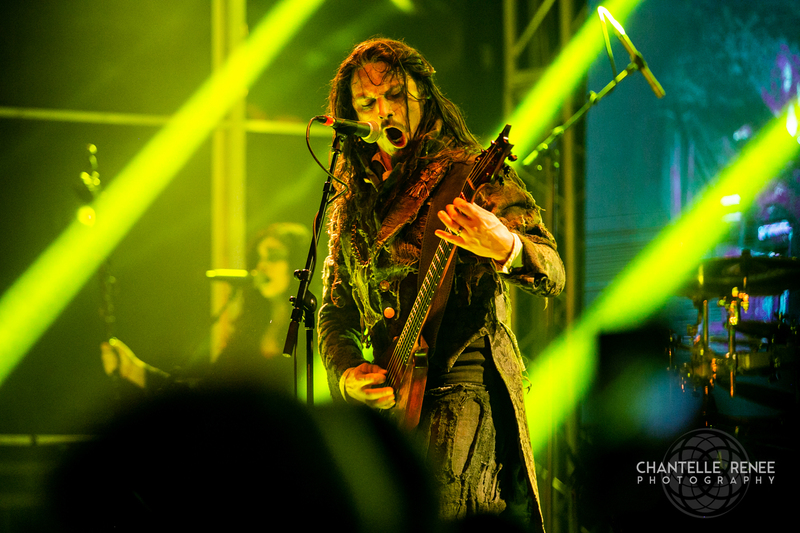 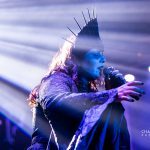 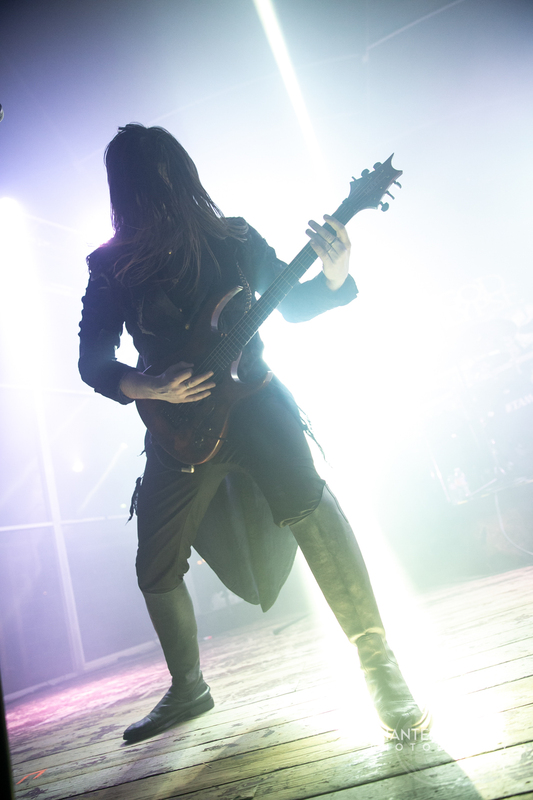 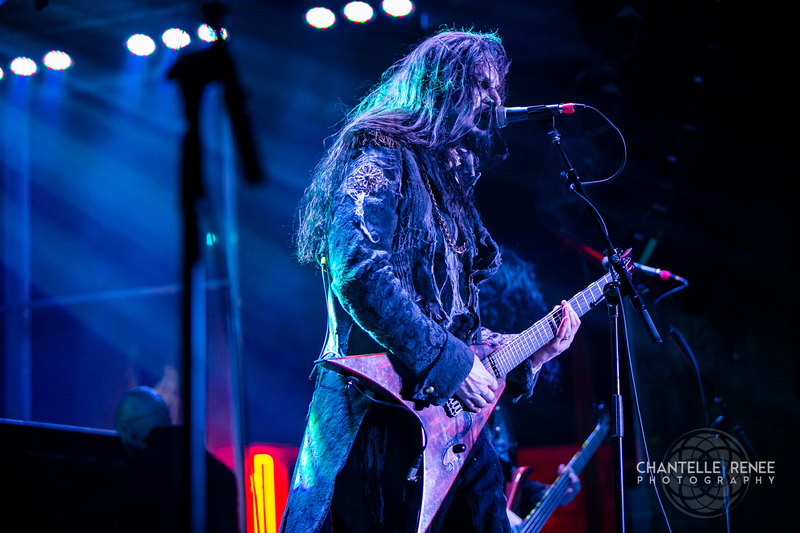 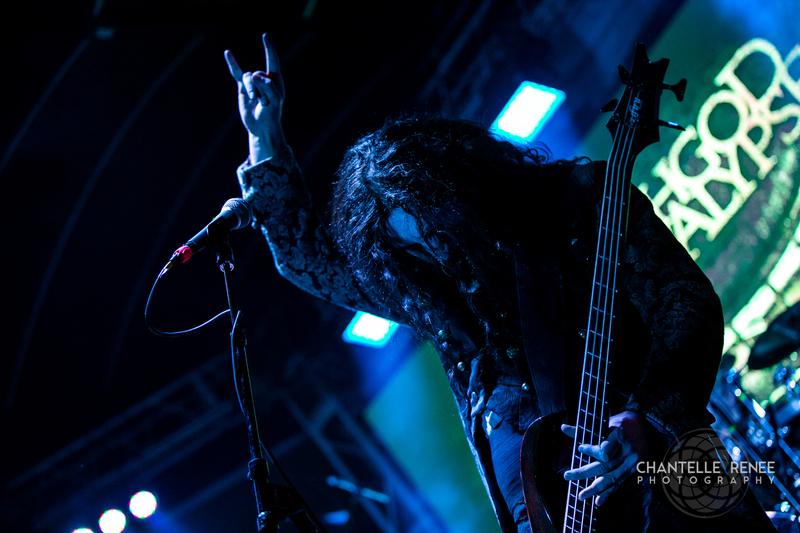 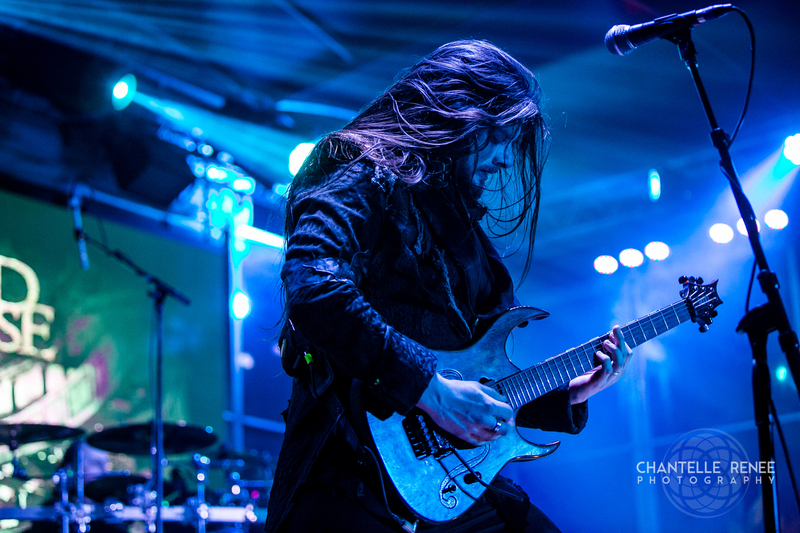 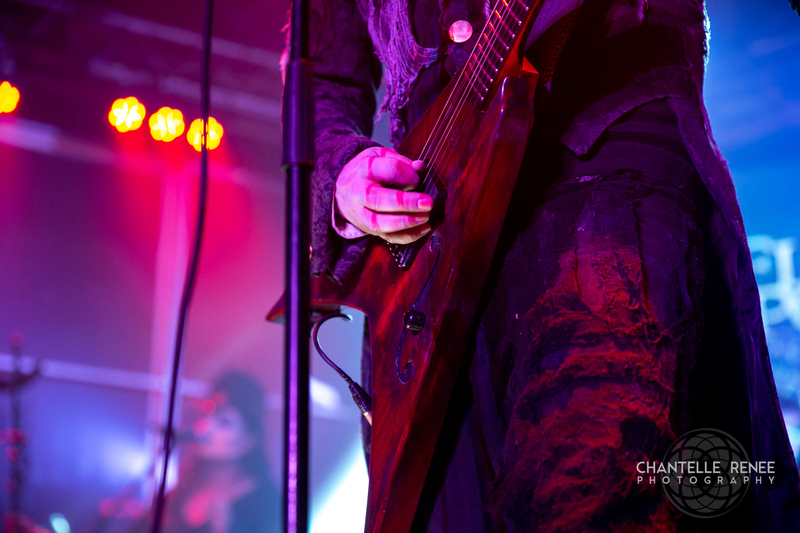 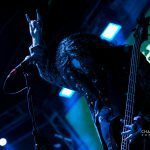 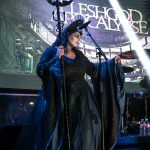 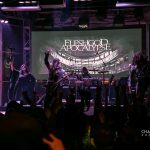 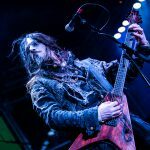 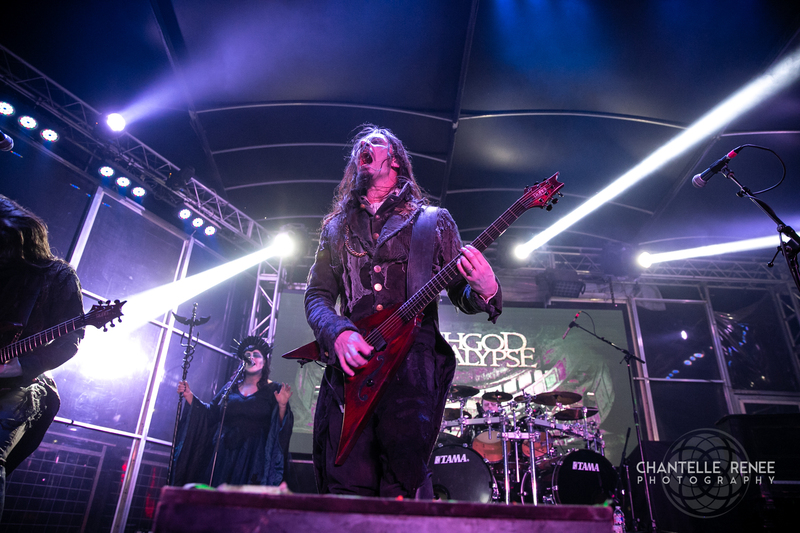 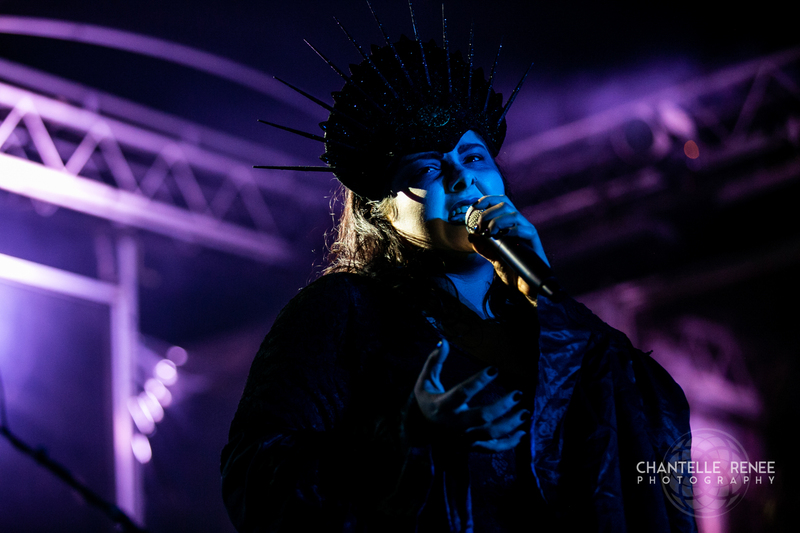 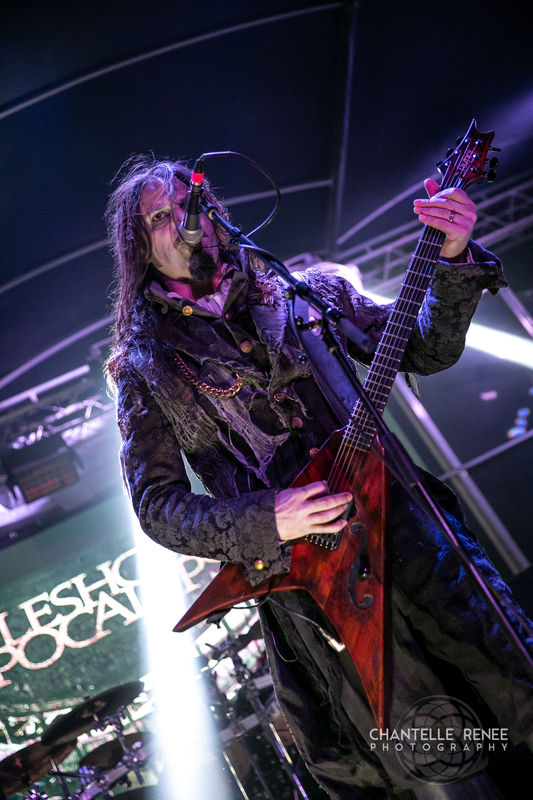 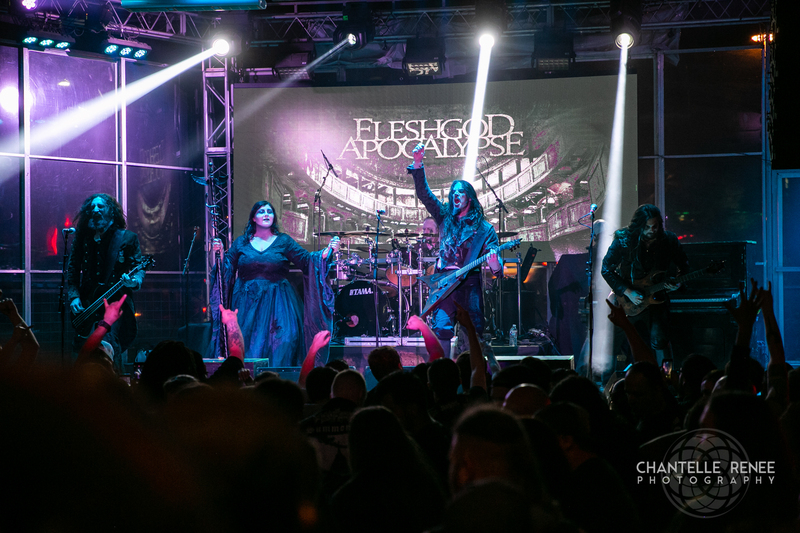 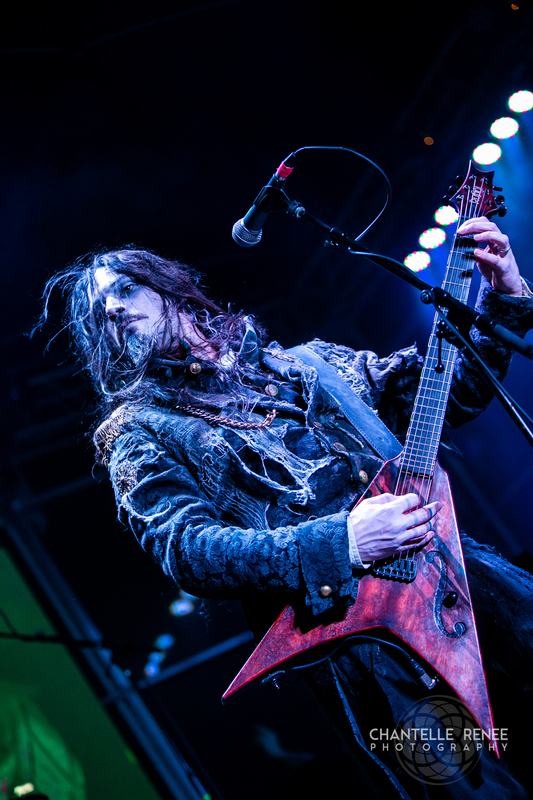 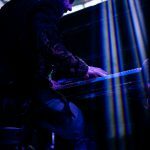 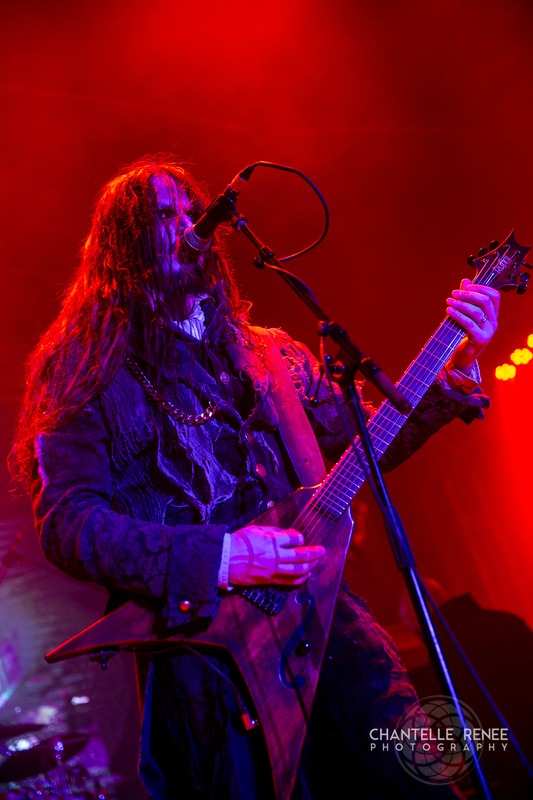 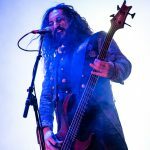 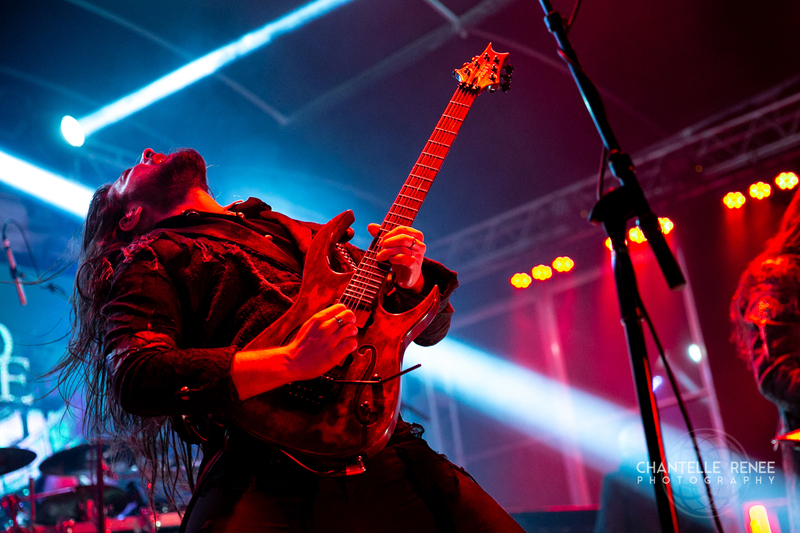 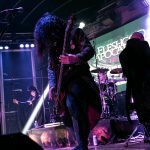 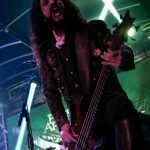 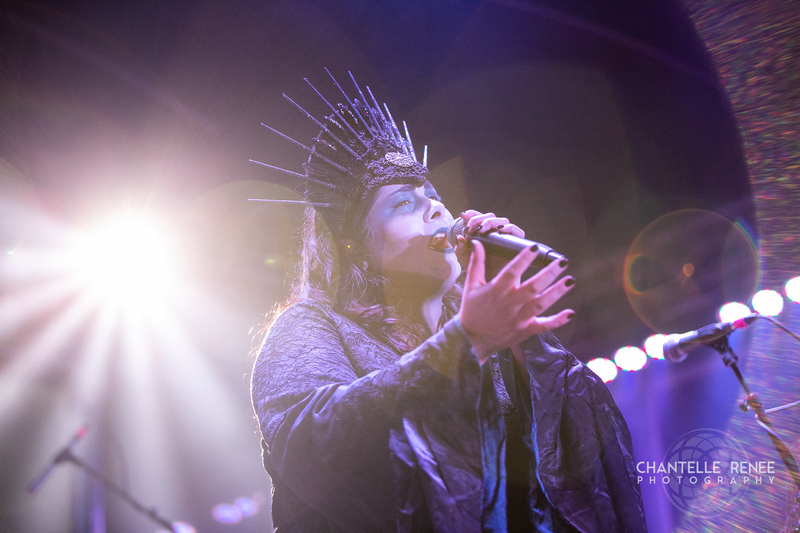 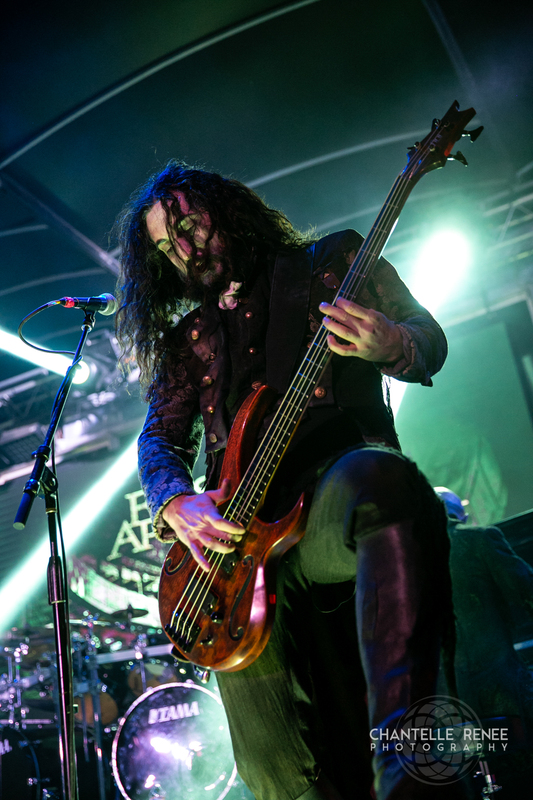 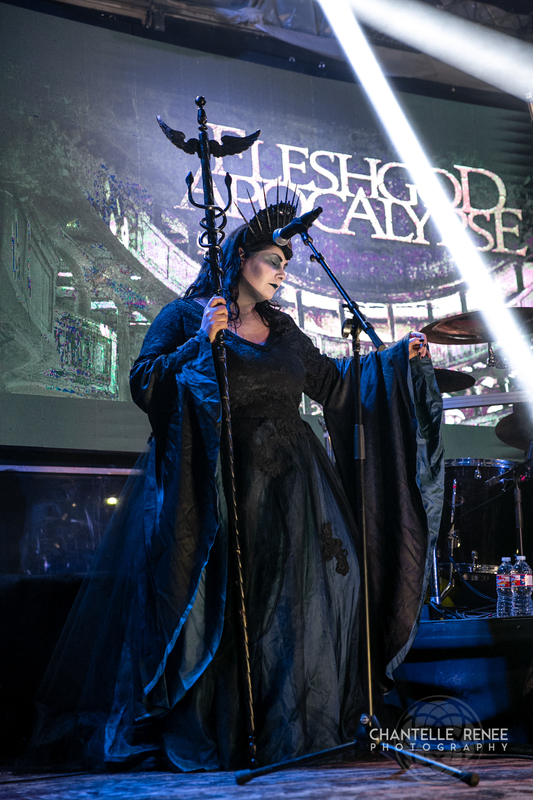 Fleshgod’s signature operatic melodies weaved through the crowd alongside the powerful stop and go motion of their music, leading many to a large circle pit or at least to bobbing their heads alongside the music. 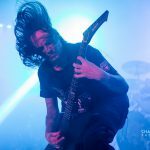 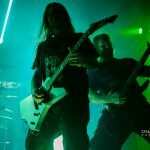 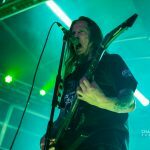 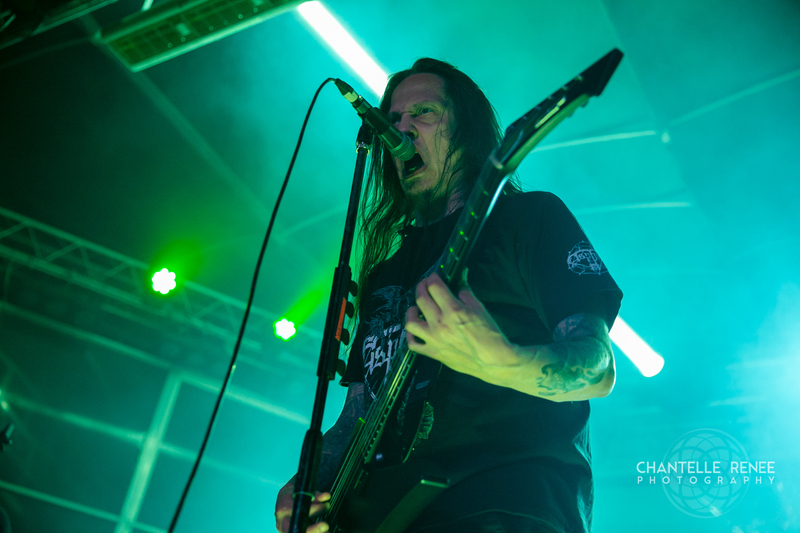 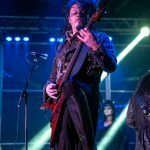 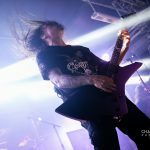 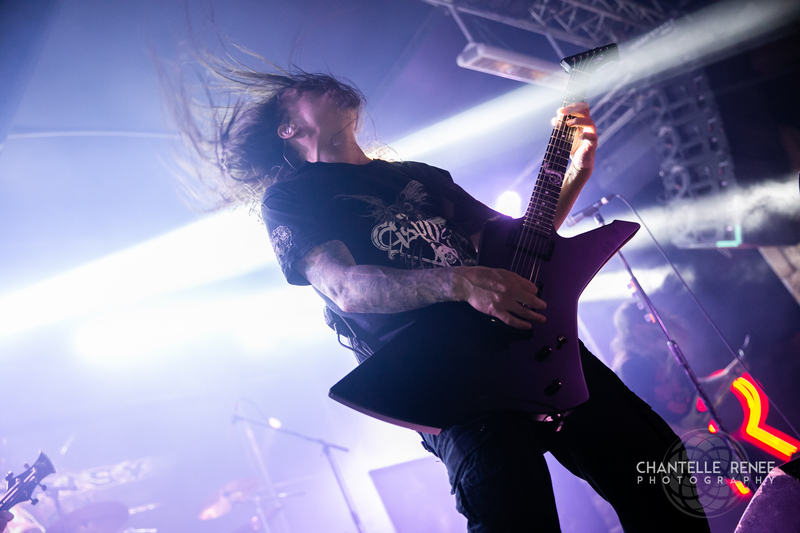 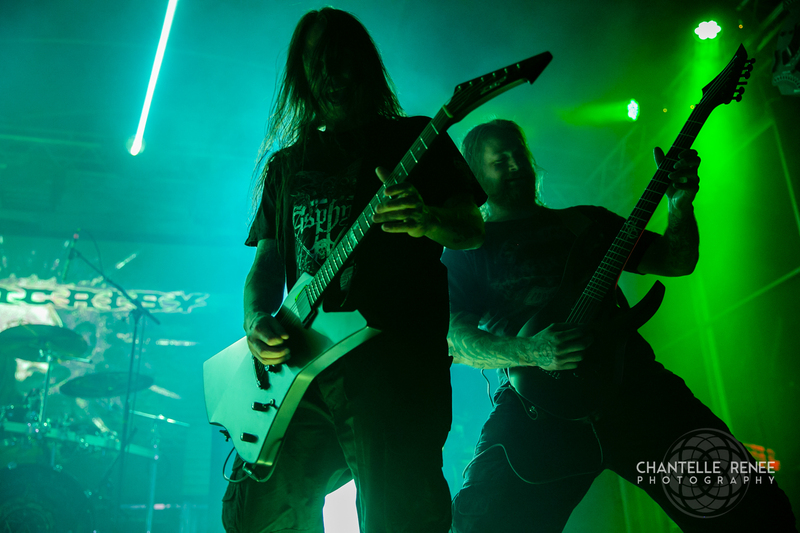 Though I’ve mentioned it already, the new lineup truly brought the brutality and intricacies to life as they would be expected from the album – I cannot emphasize how much heavier and cleaner the set sounded than before. 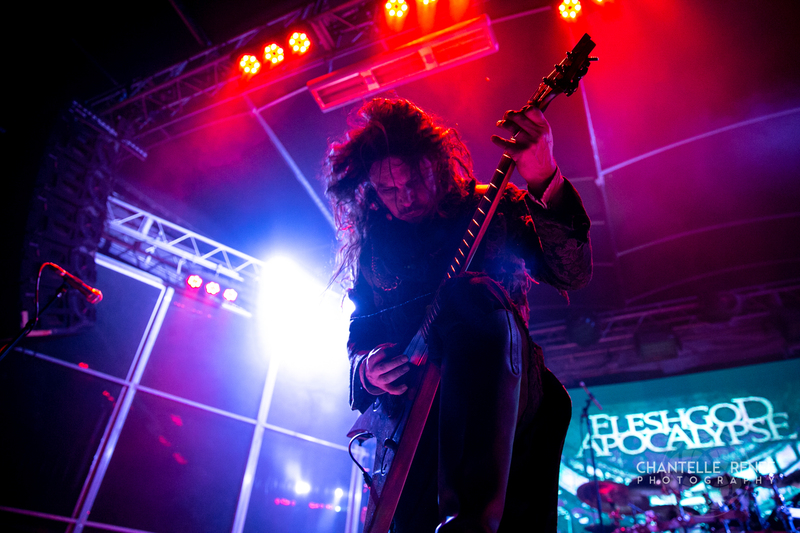 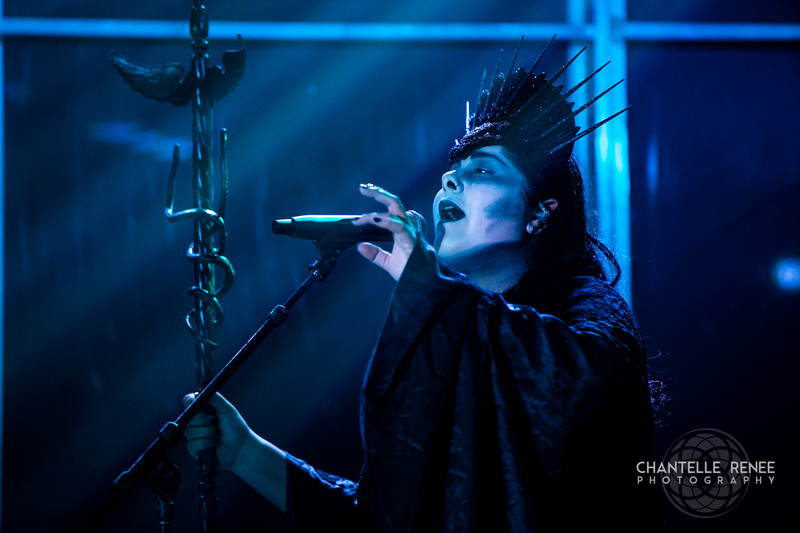 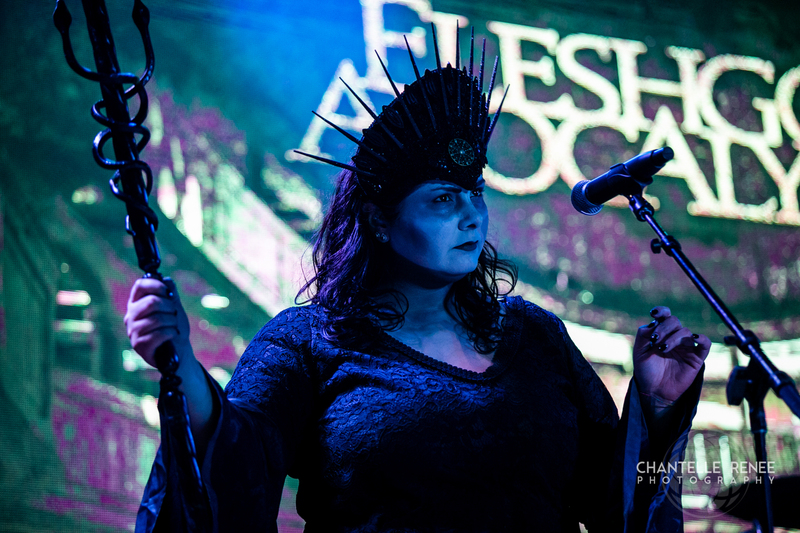 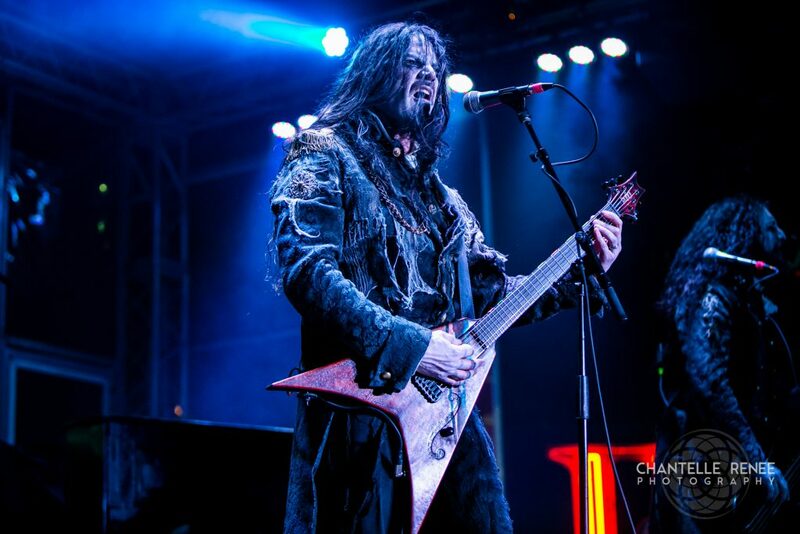 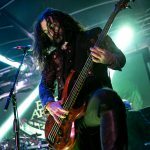 Fleshgod performed all the fan favorites including two new tracks for the upcoming album, including the new single they recently released a music video for titled “Sugar” (HERE) and “Fury”. 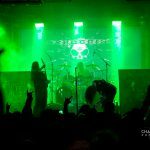 Closing their set with a wall of death, the members returned to the stage at the end of their performance to bow to the crowd and throw sticks / picks / setlists out. 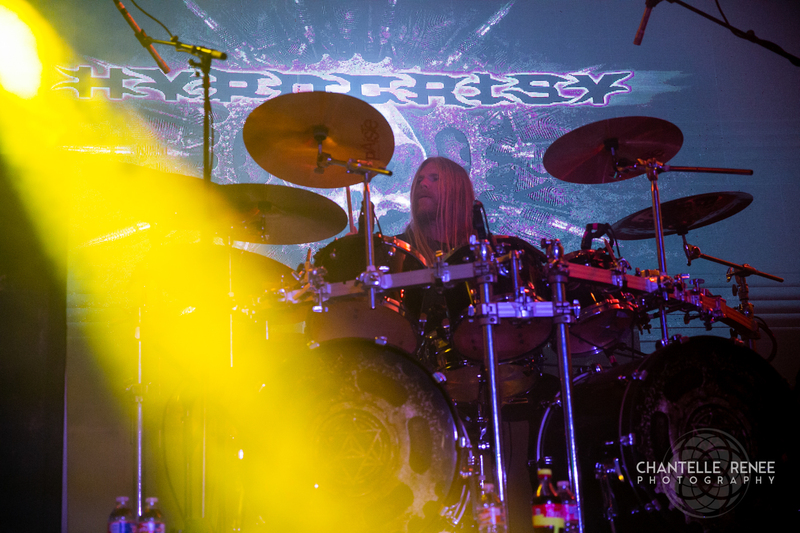 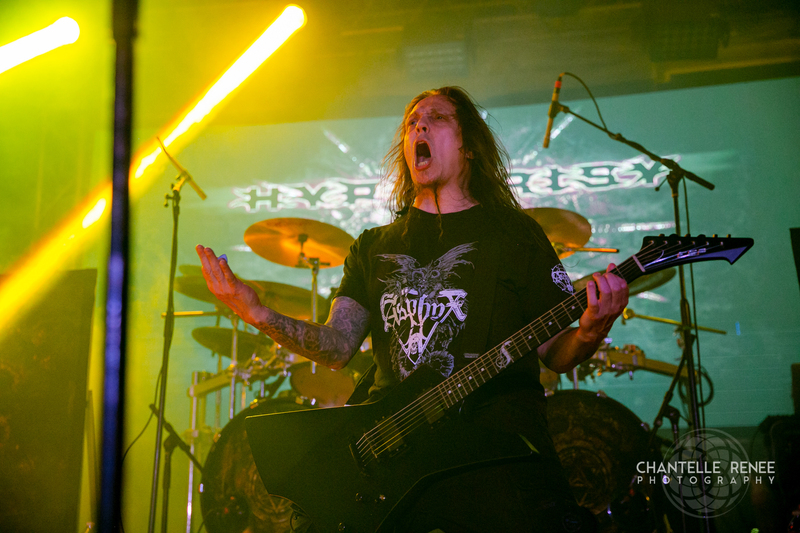 Swedish death metal pioneers HYPOCRISY took to the stage shortly after, unleashing their intense and powerful old school melodic death metal sound to those in wait. 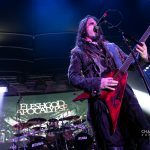 A bit more standard fare than Fleshgod, the music was riddled with catchy triplet riffs and punchy kick patterns that engaged those unfamiliar with the band, myself included. 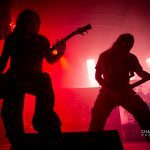 As their performance began, instant massive circle pits spawned, substantiating their position in the metal community as one of the greats. 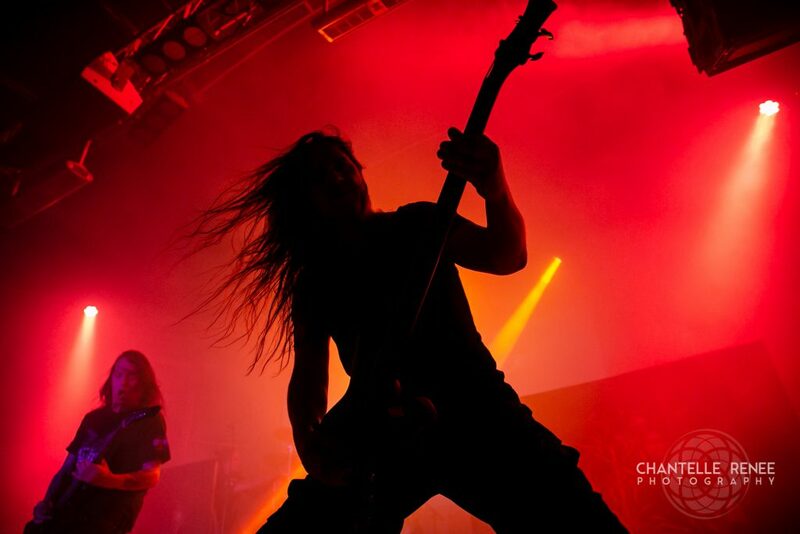 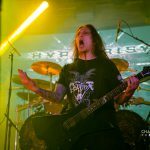 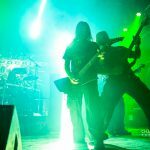 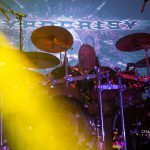 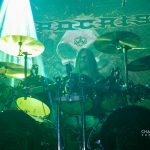 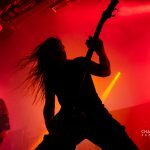 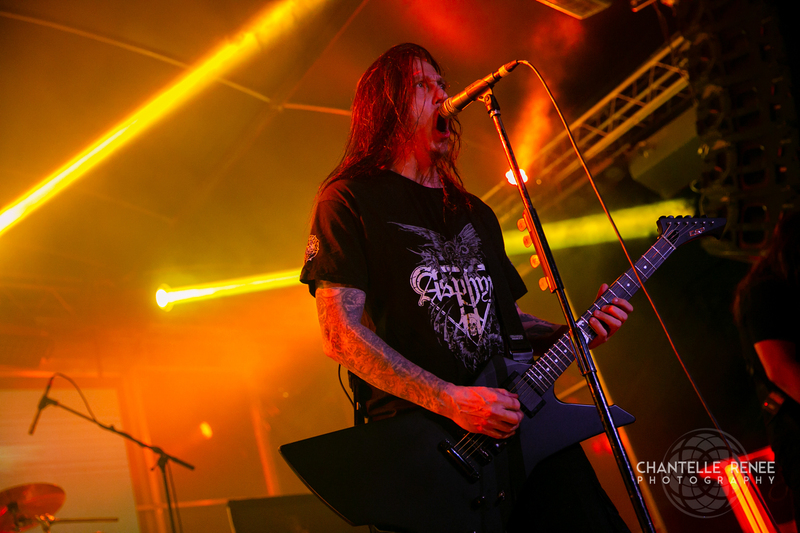 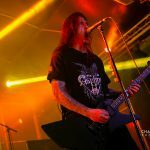 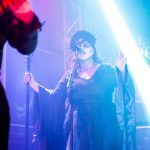 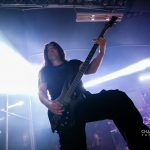 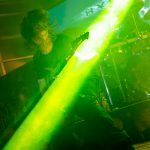 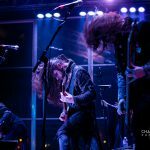 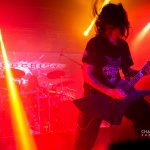 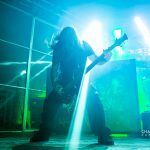 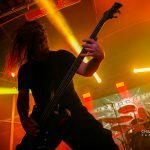 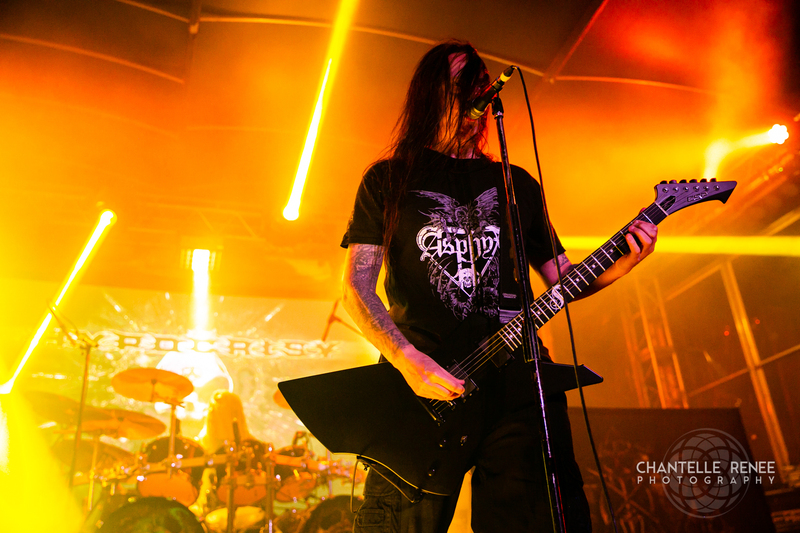 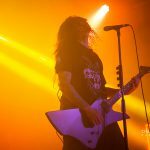 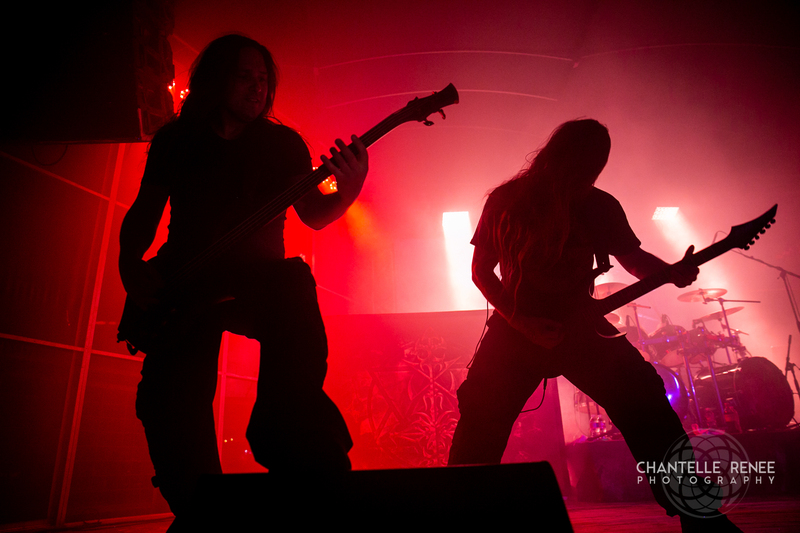 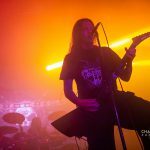 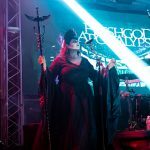 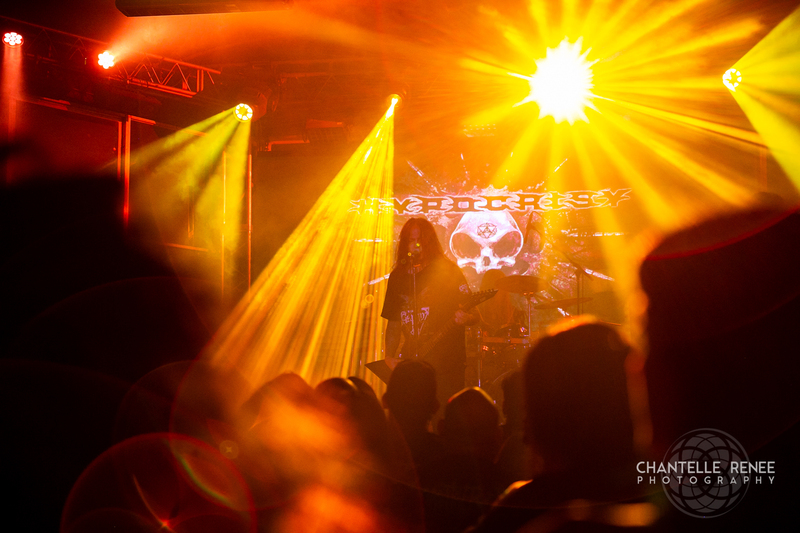 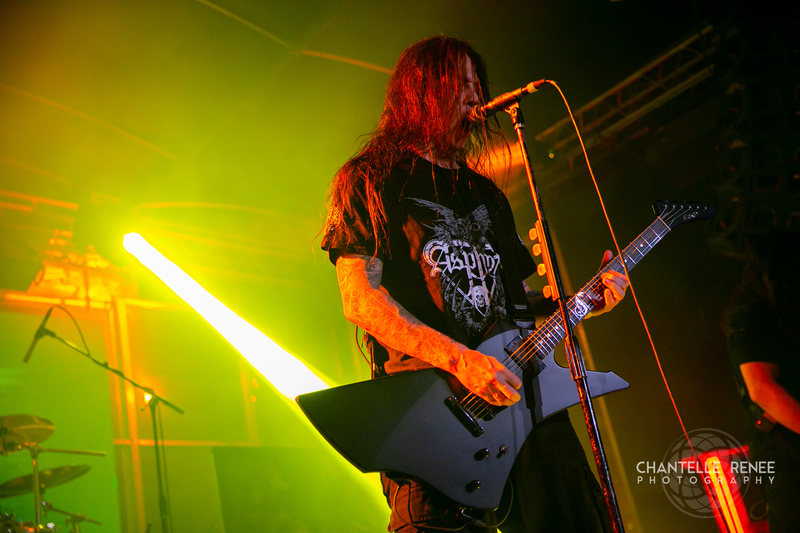 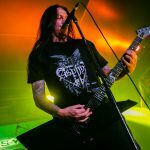 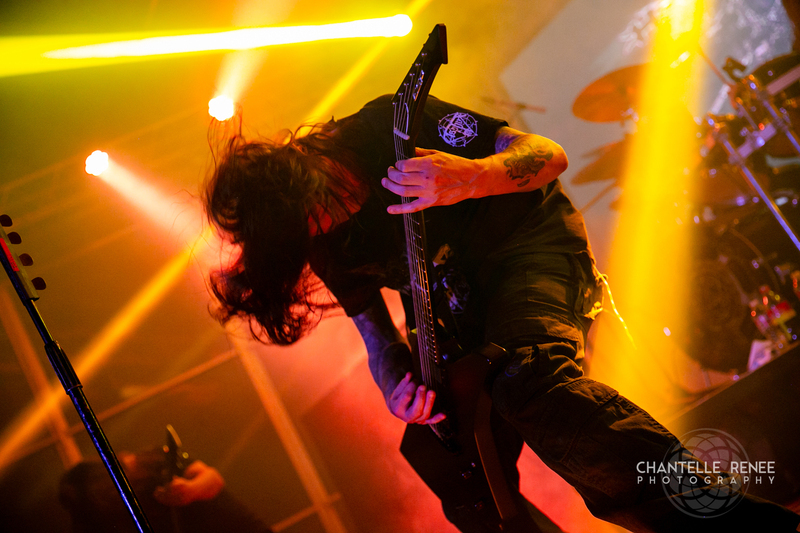 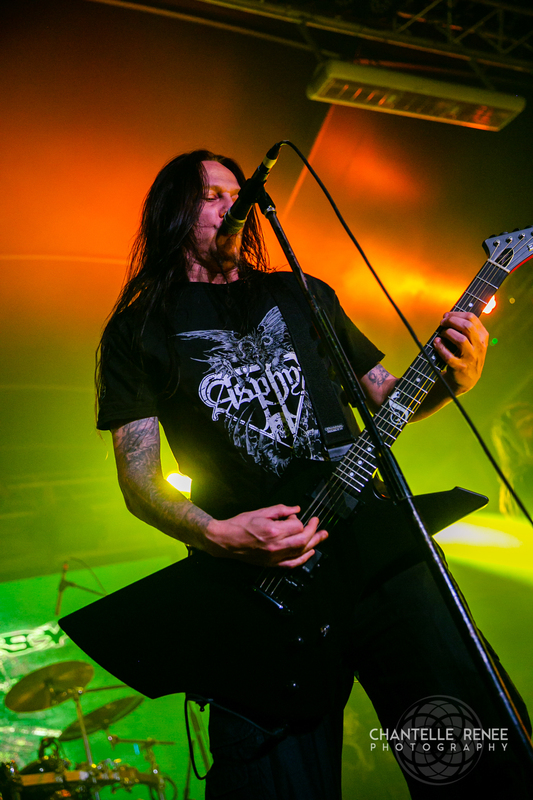 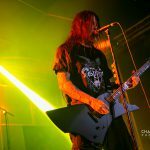 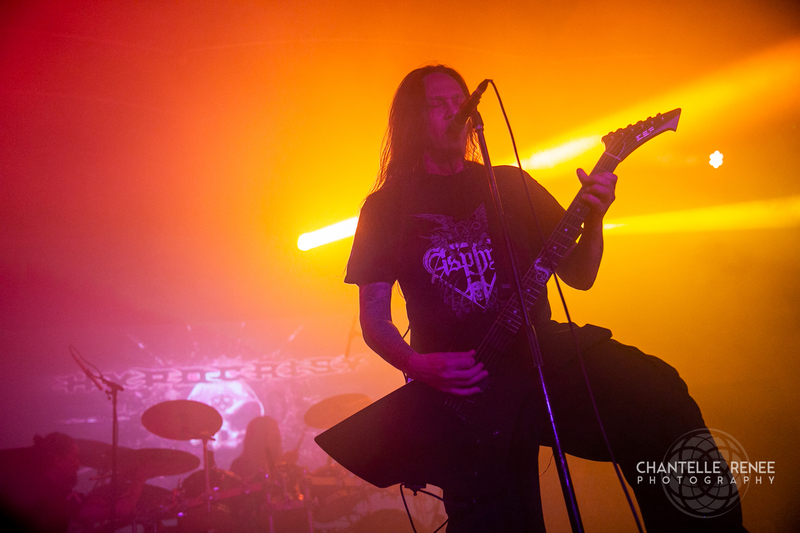 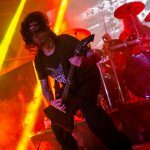 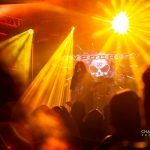 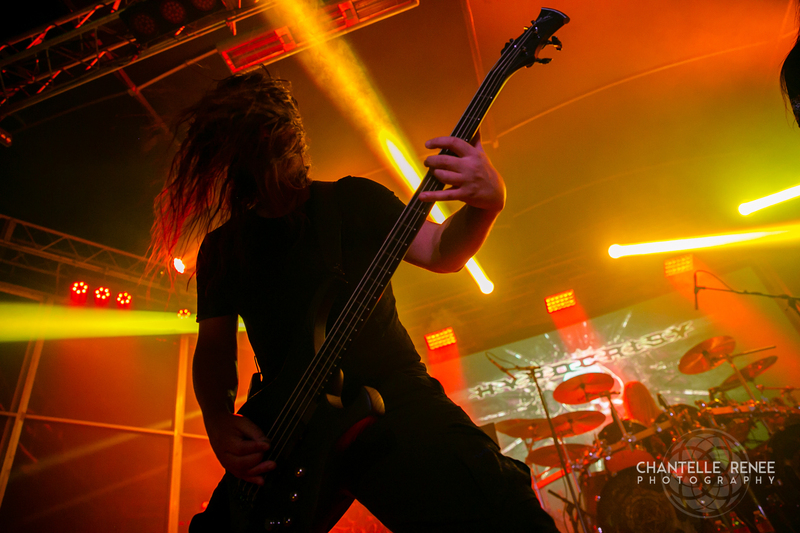 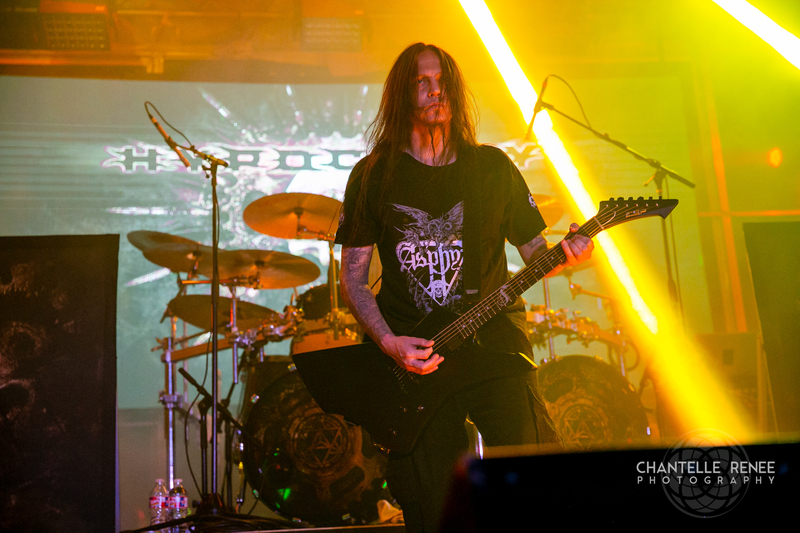 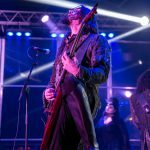 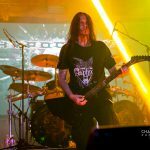 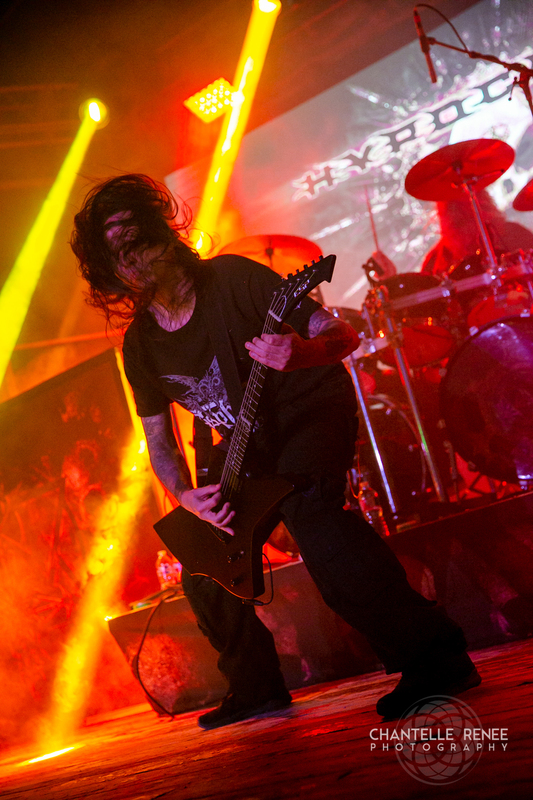 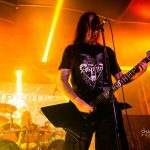 Despite falling ill and being unable to stay for the length of their performance, the intensity of Hypocrisy doubled down as they moved through their set, gradually getting heavier and faster. 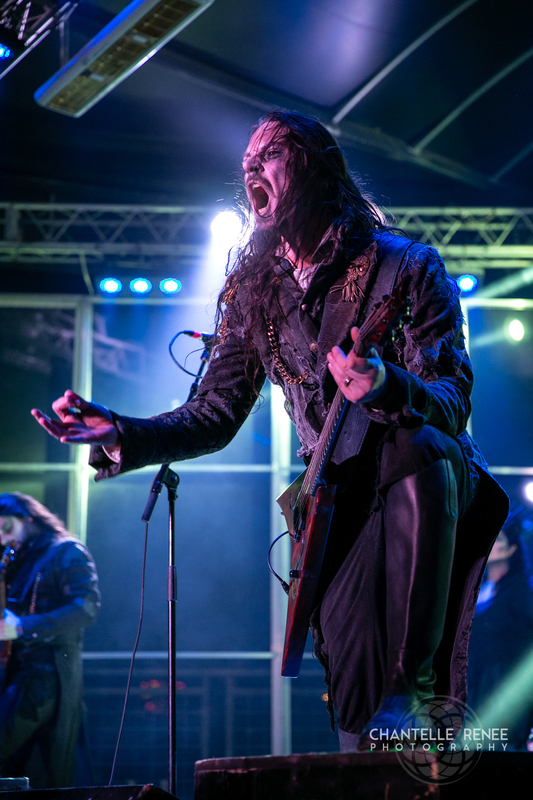 When frontman and founding member, Peter Tägtgren, announced the next song as Eraser, the crowed rumbled with screams of excitement. 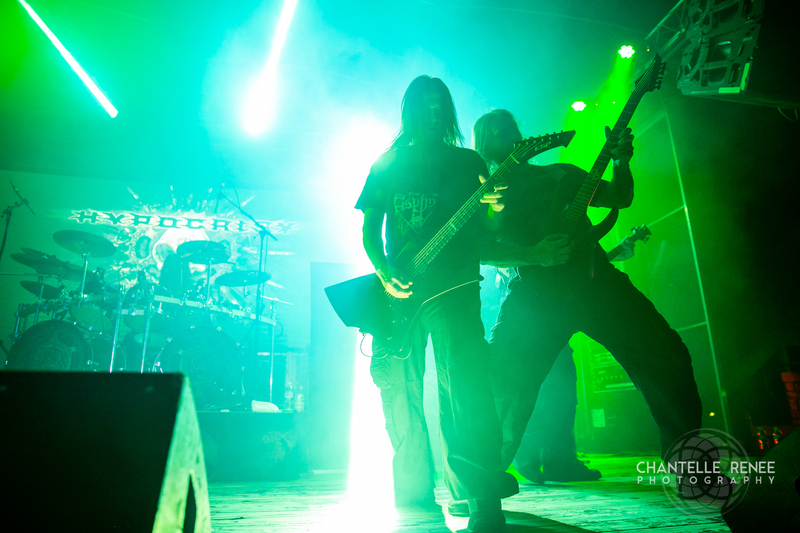 Hypocrisy ended the night with their 1996 classic, Roswell 47. 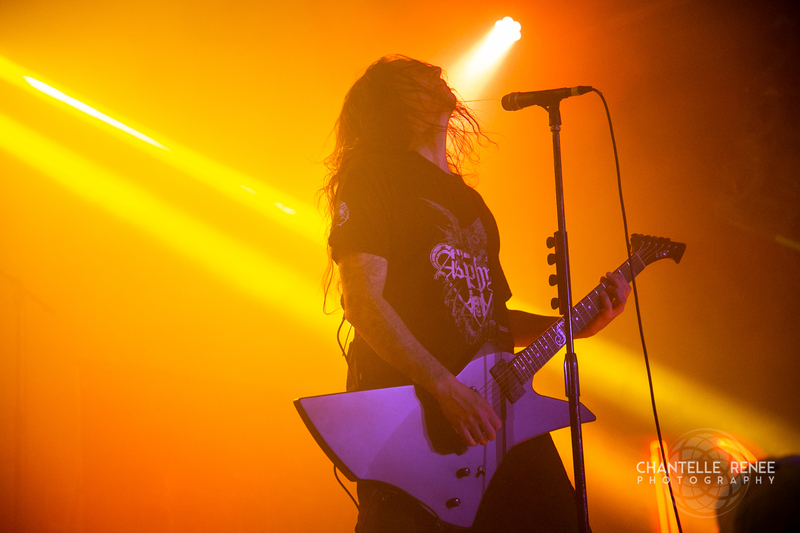 The circle pits of the evening lasted until the very last second.